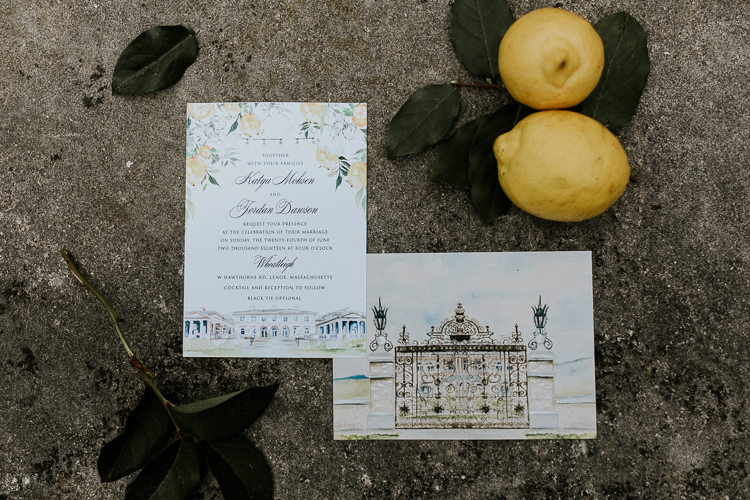 1) What was most important to you when planning your destination wedding? 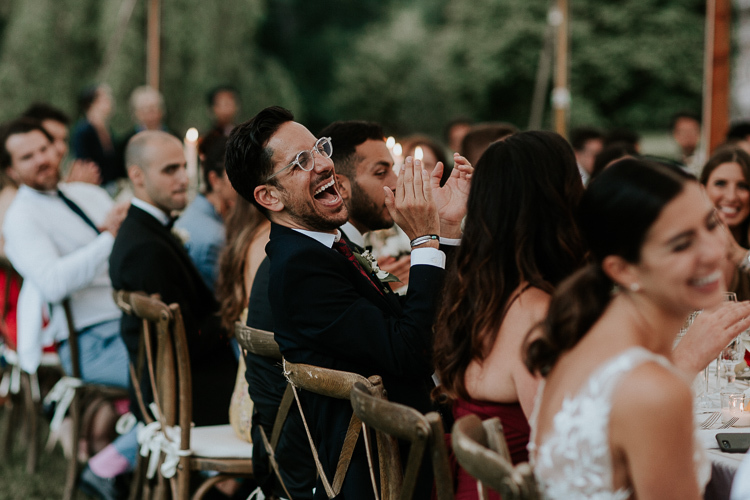 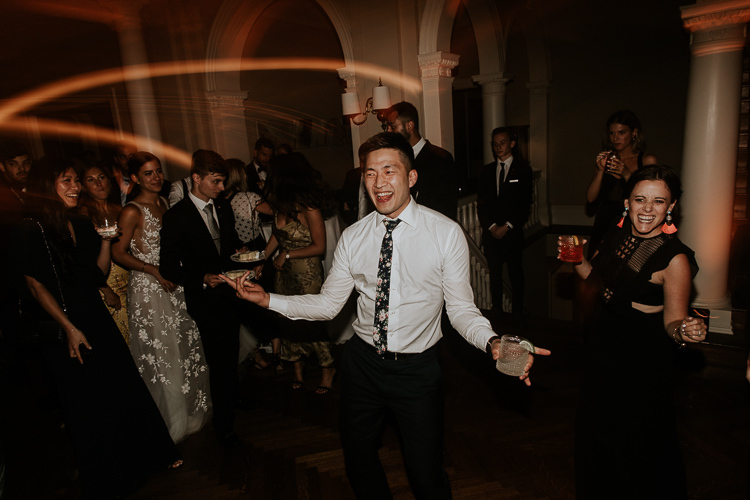 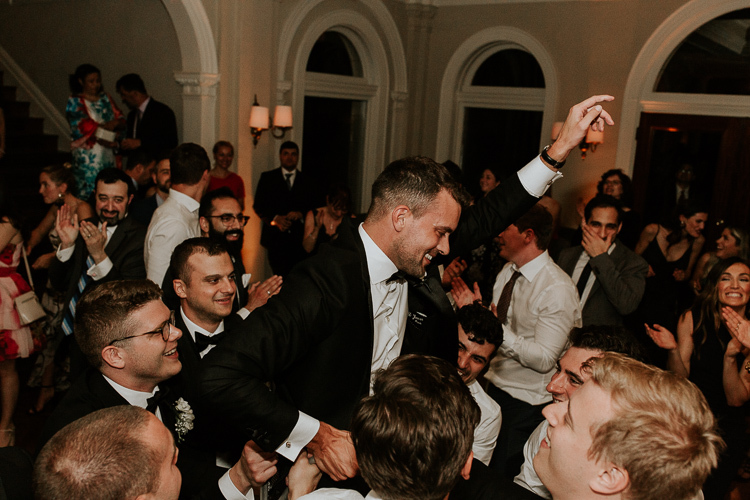 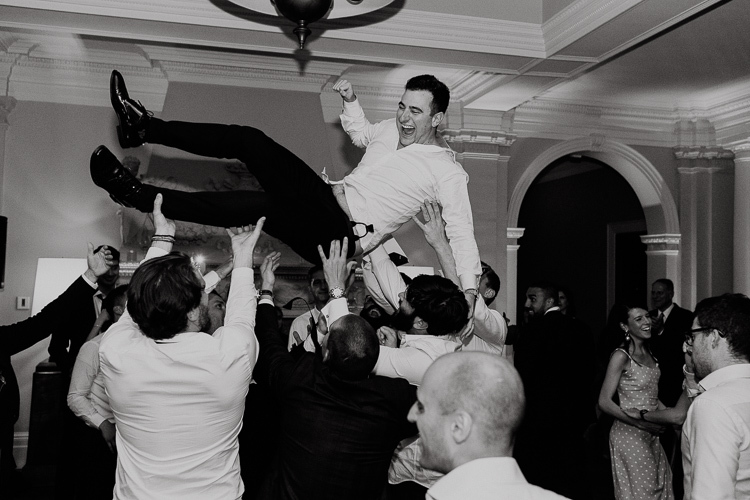 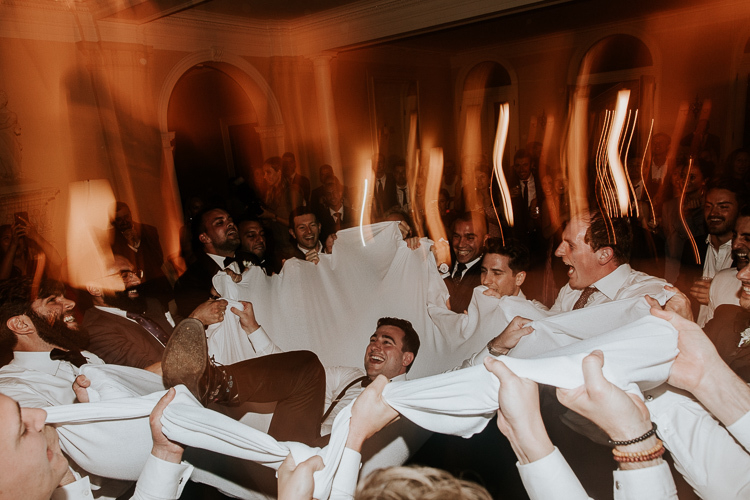 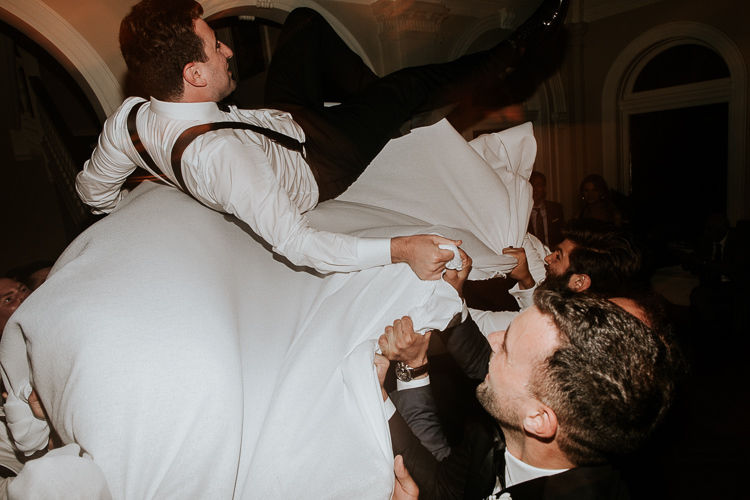 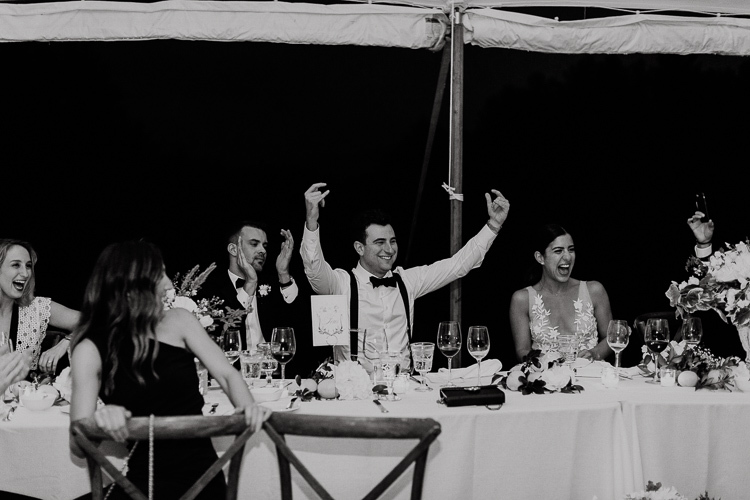 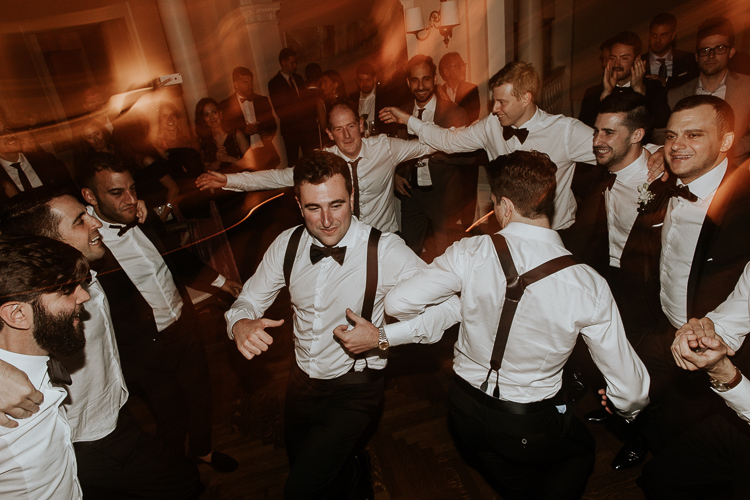 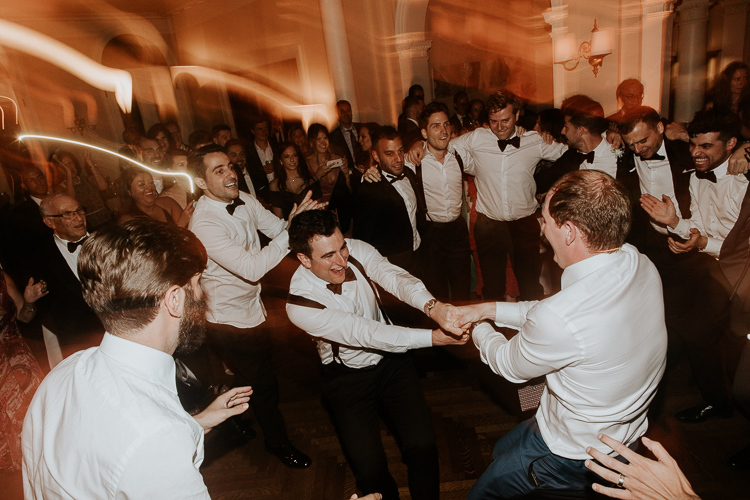 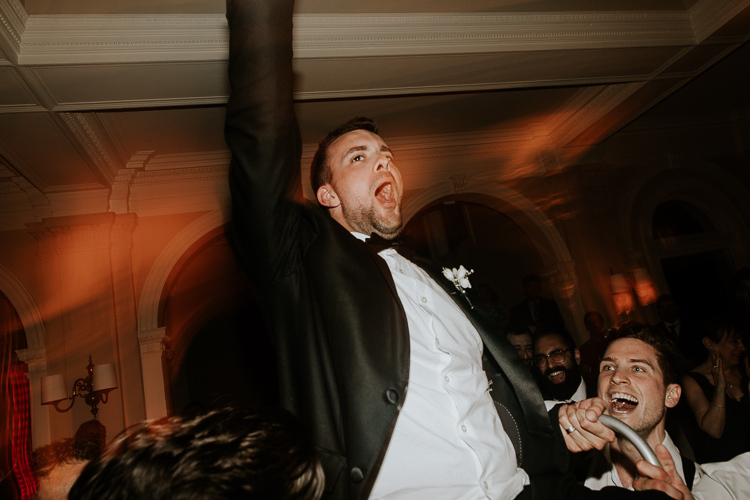 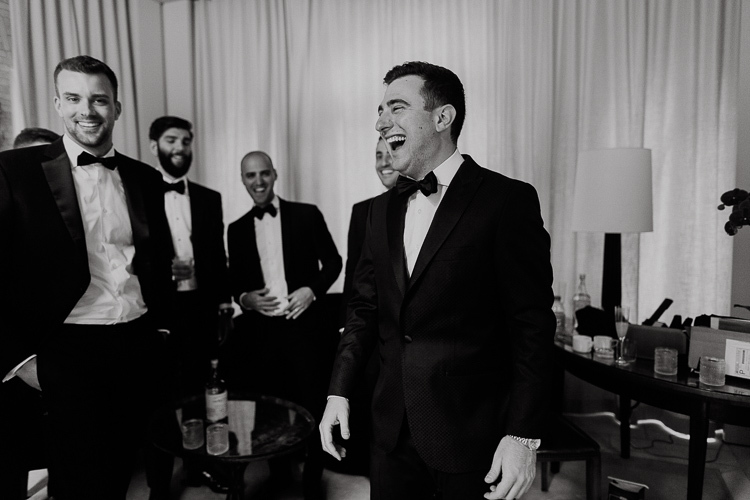 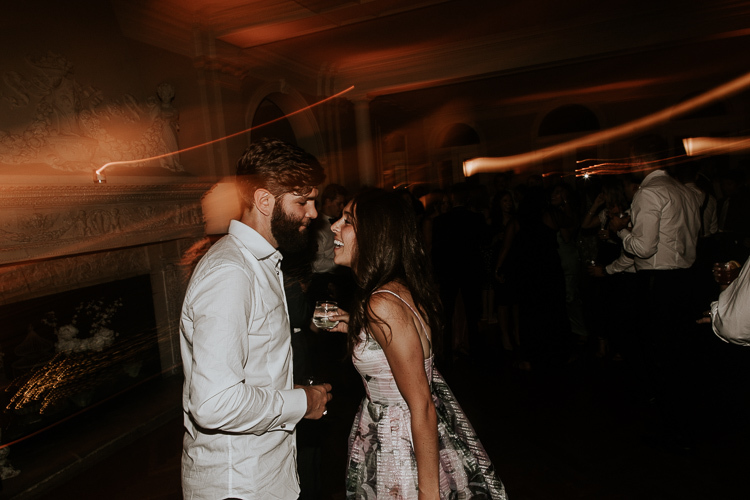 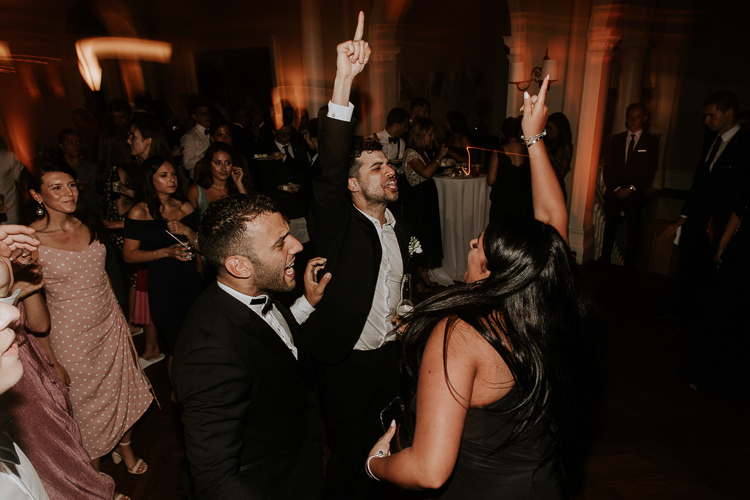 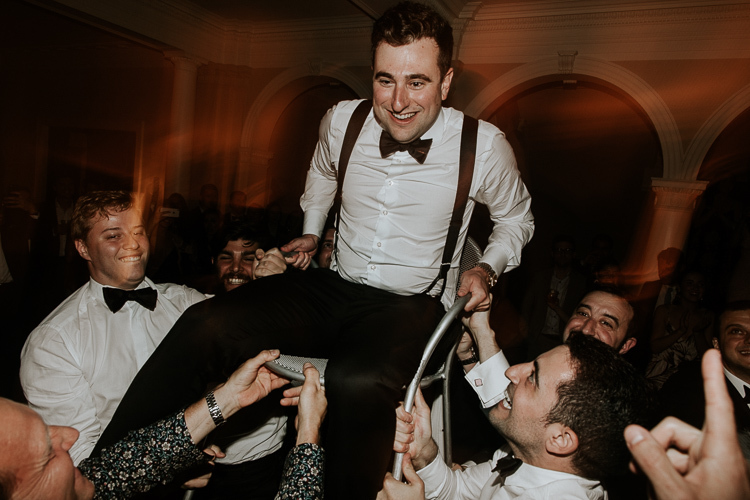 The most important part of our wedding was the overall guest experience, since for us, having the time of our lives was a given. 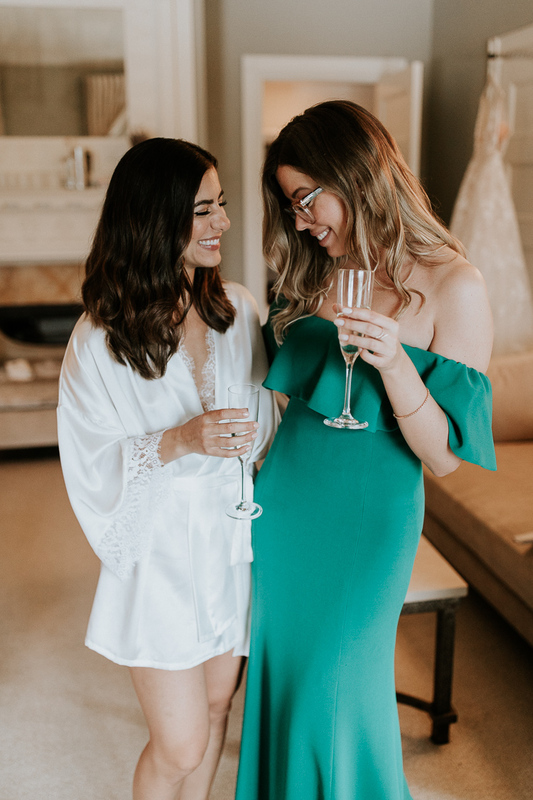 We love hosting people at home, and applied the same perspective when planning our wedding. 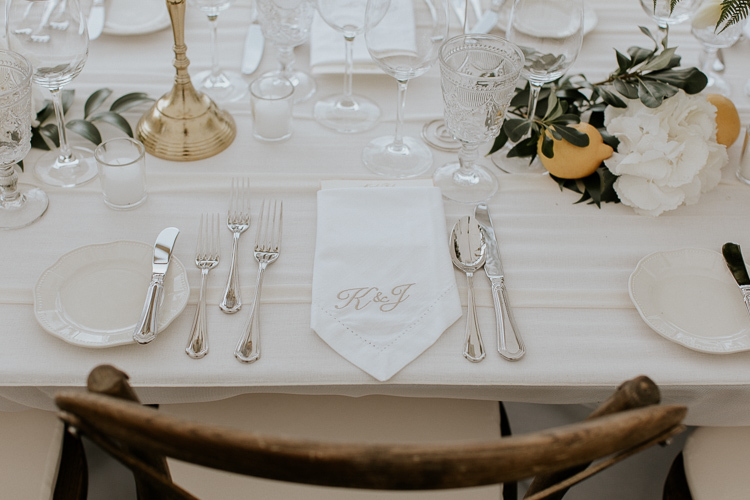 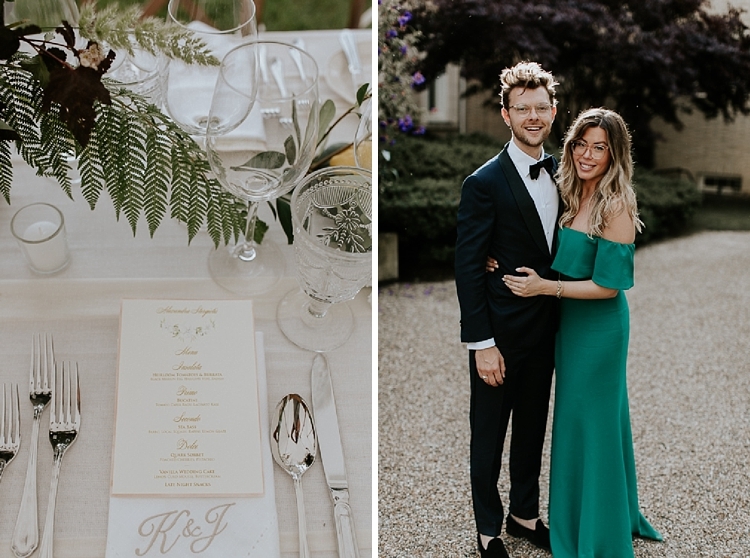 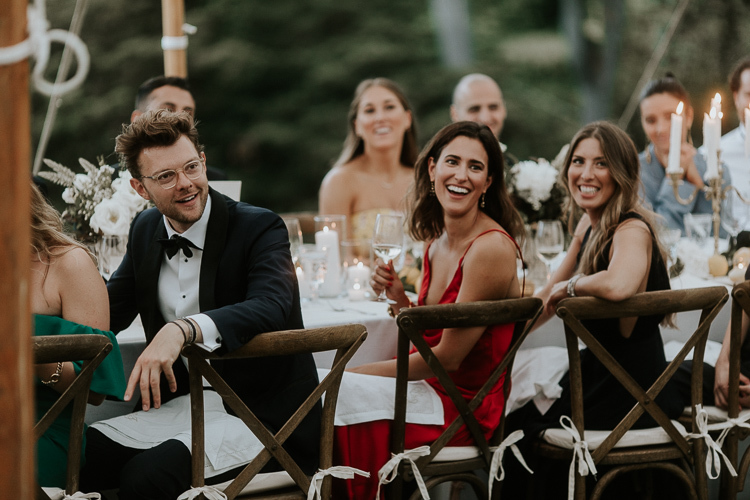 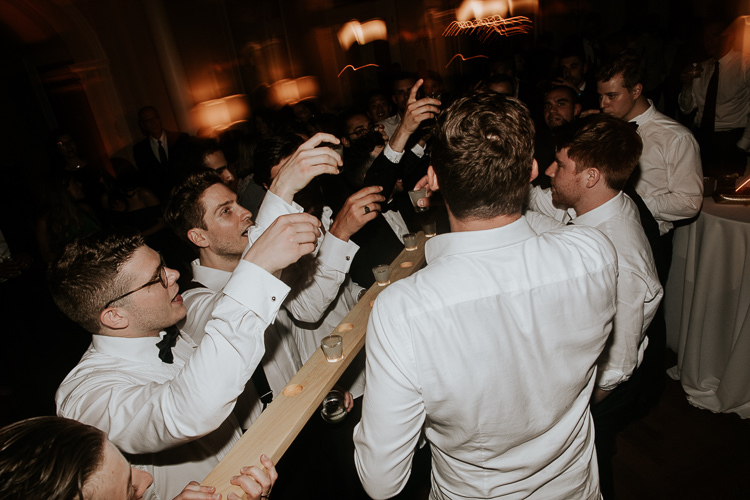 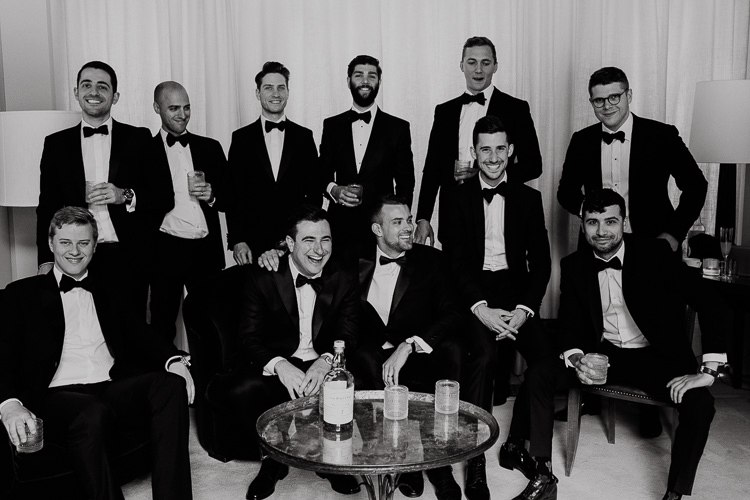 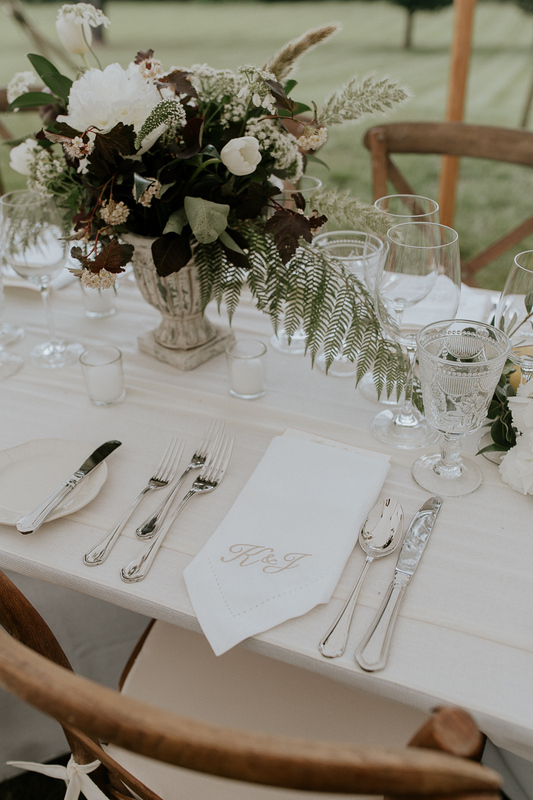 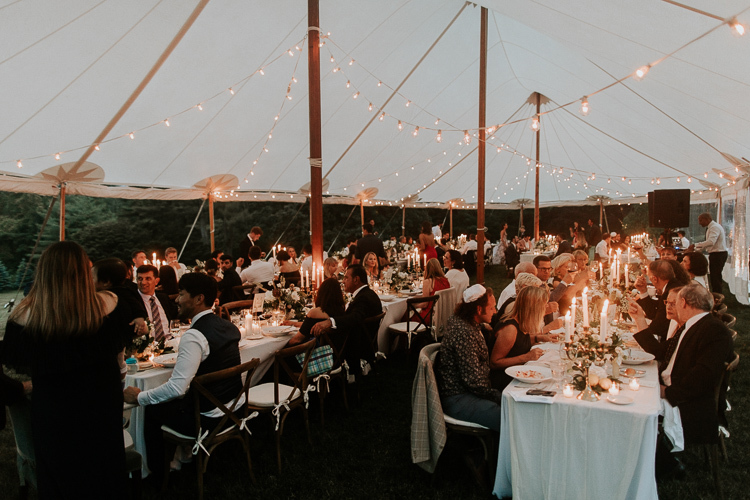 From the food, to the flow of events, and music selection, for both the welcome party and wedding day, we were always conscious of how our guests would experience the weekend, as if we were hosting a dinner party in our home. 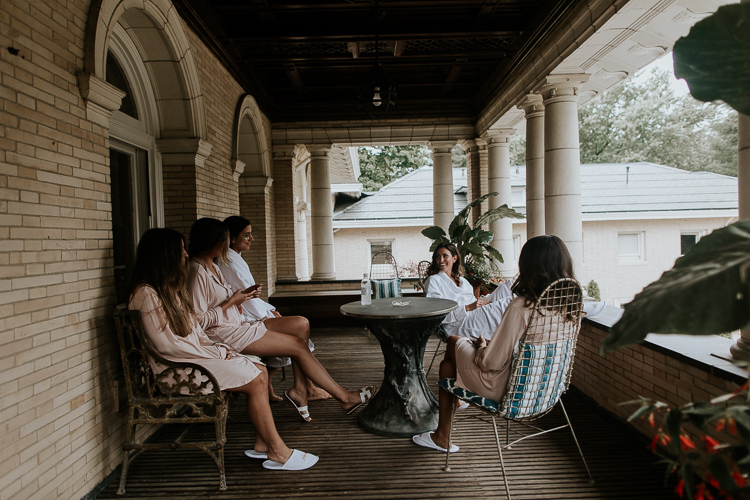 Asking friends & family to travel for you requires a large commitment on their part and we wanted to ensure that everyone`s weekend would be memorable. 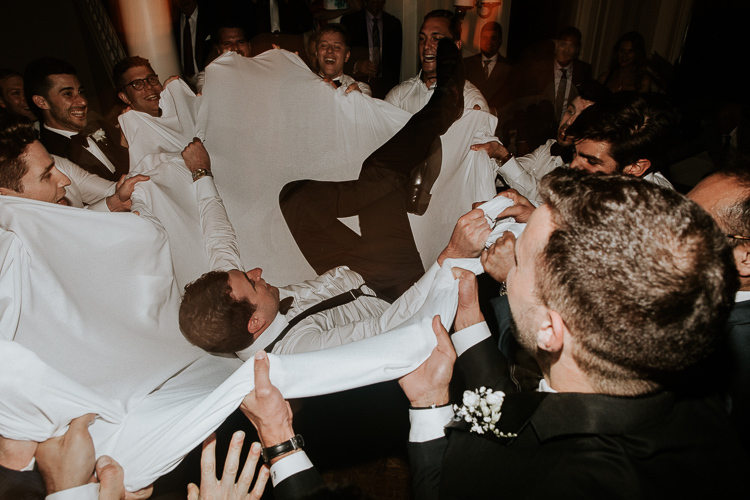 2) What was the most memorable part of the day? 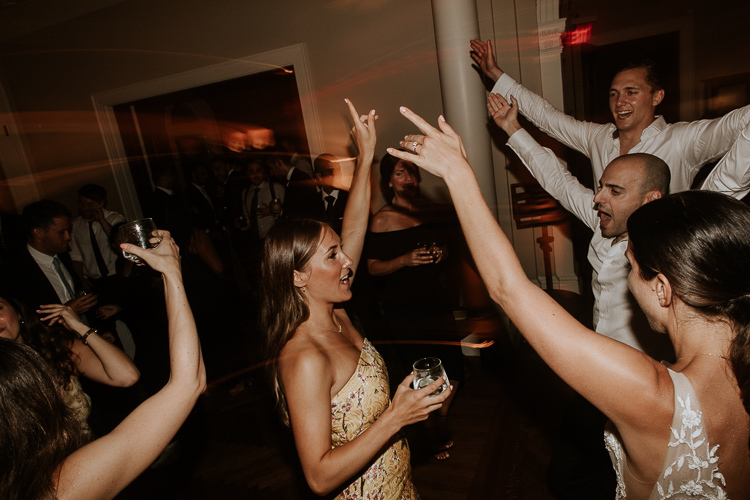 There are so many, from yoga with the girls in the morning, to the boys all ending up shirtless on the dance floor jumping to an encore of ”shout”. 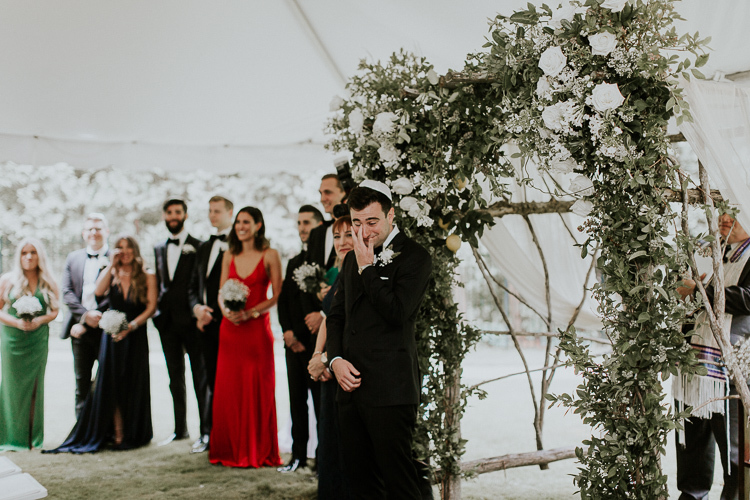 However, to us two, the most memorable part was the whole ceremony. 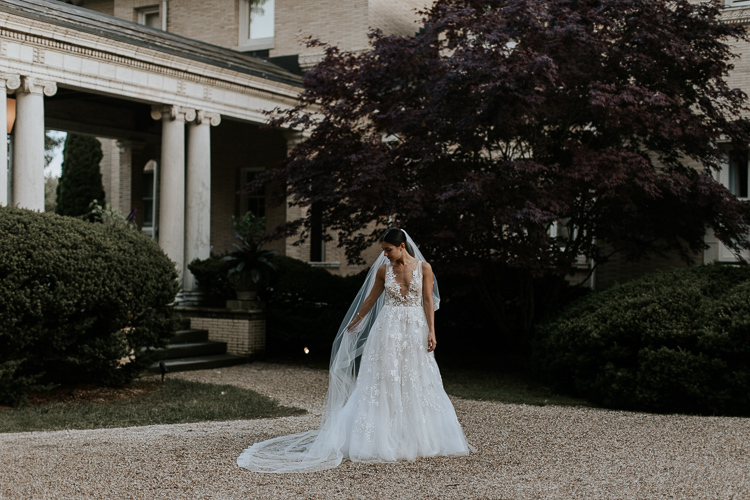 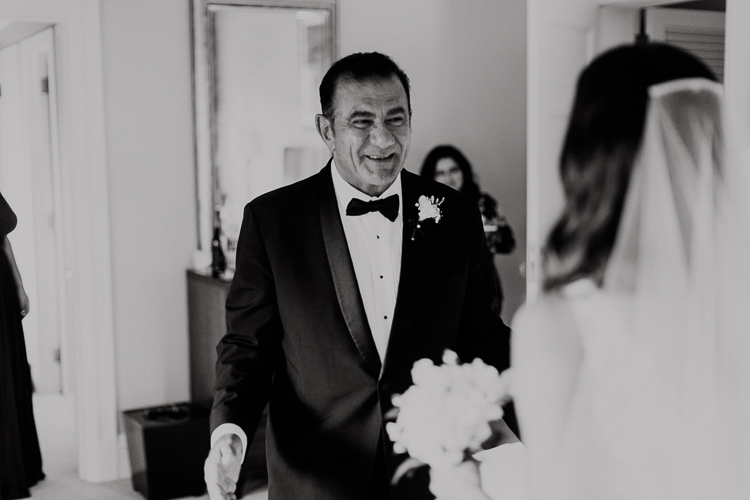 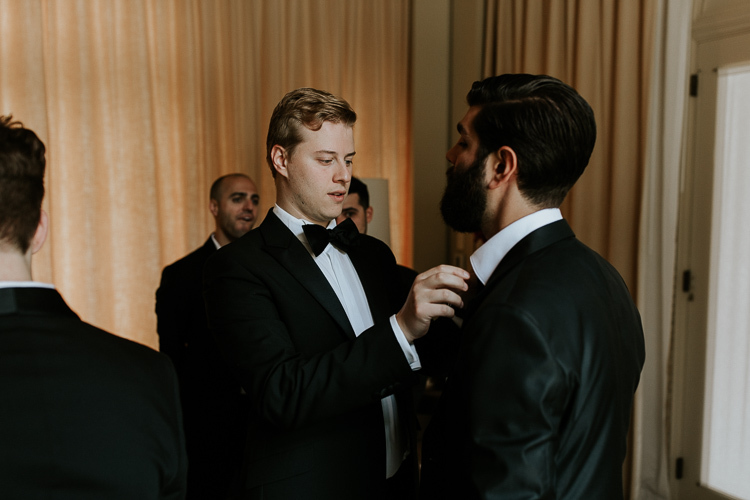 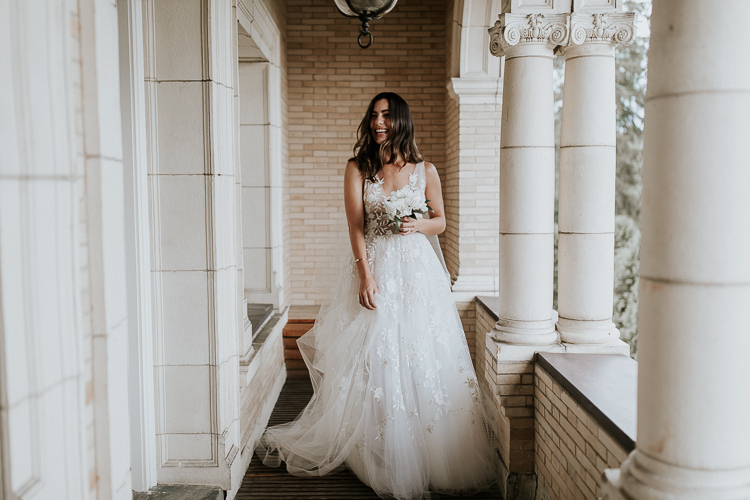 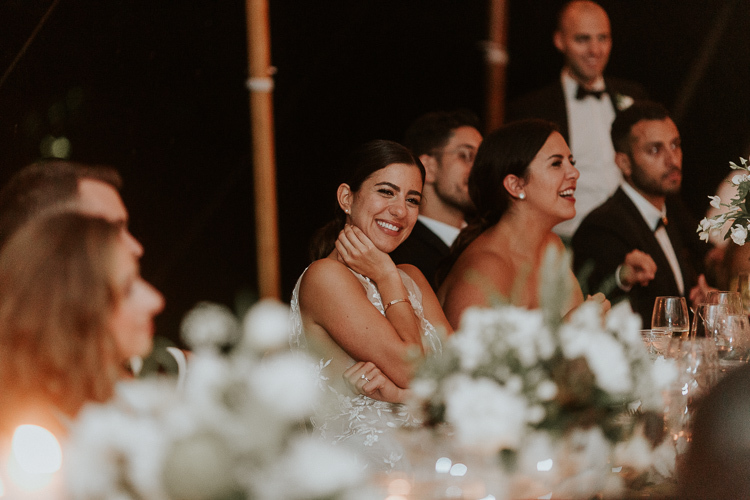 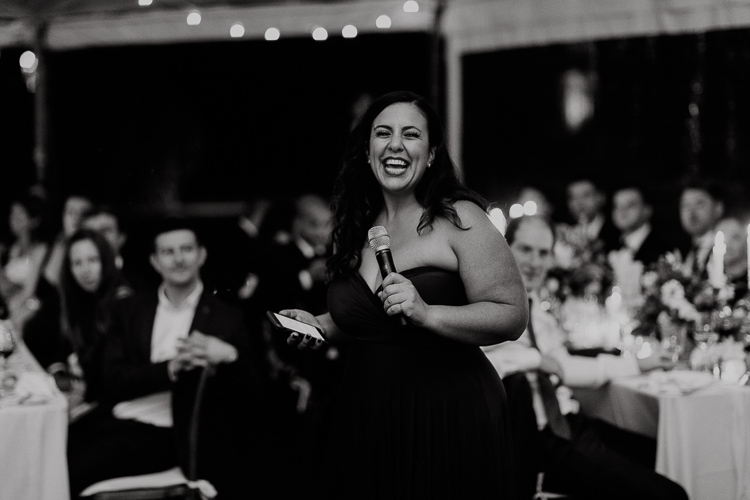 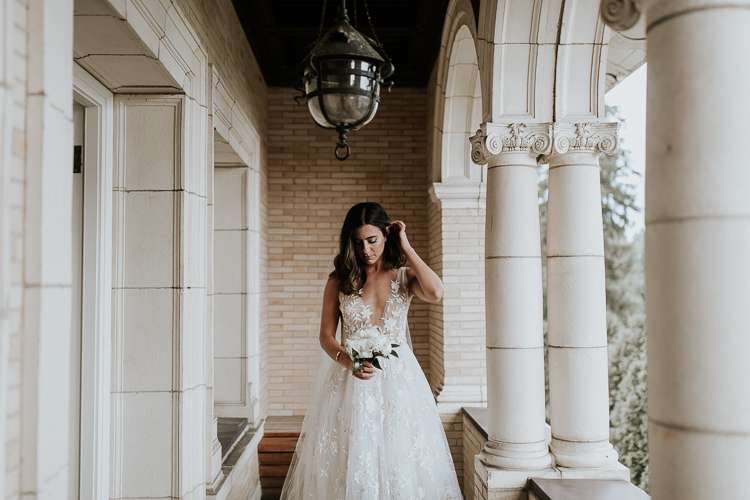 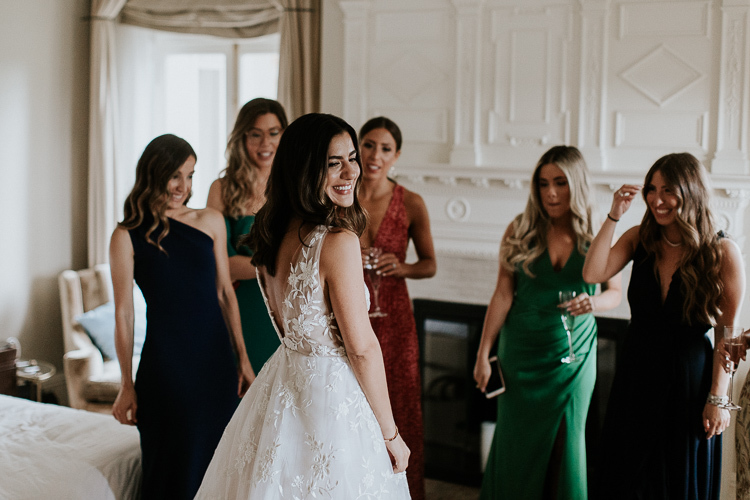 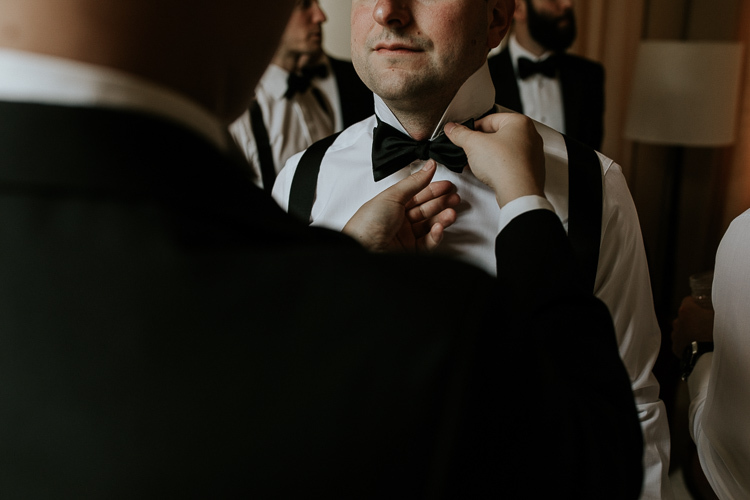 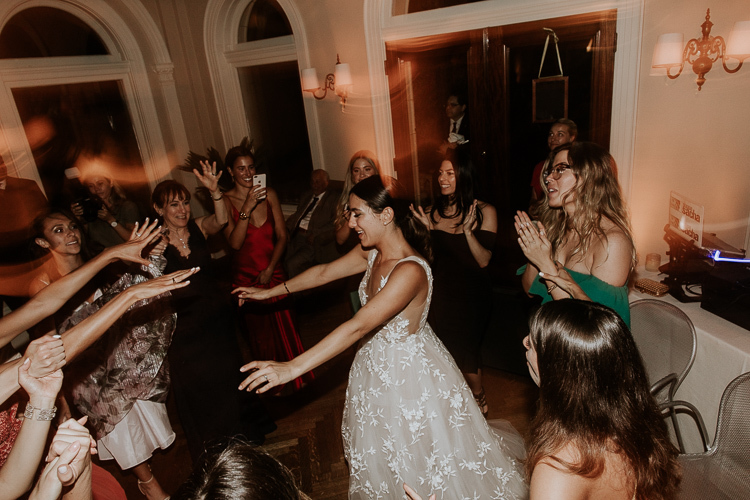 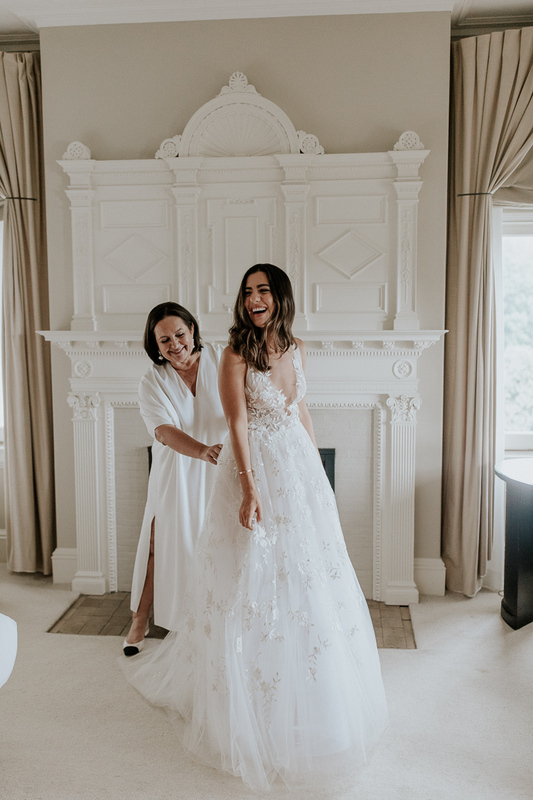 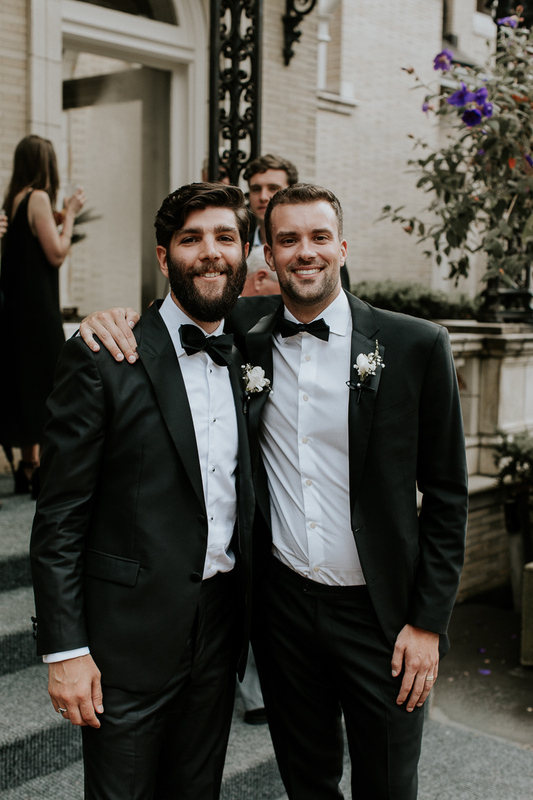 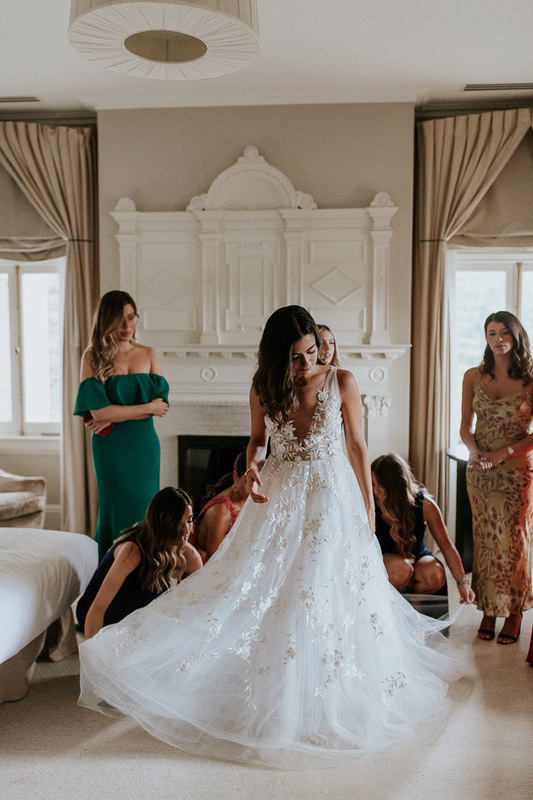 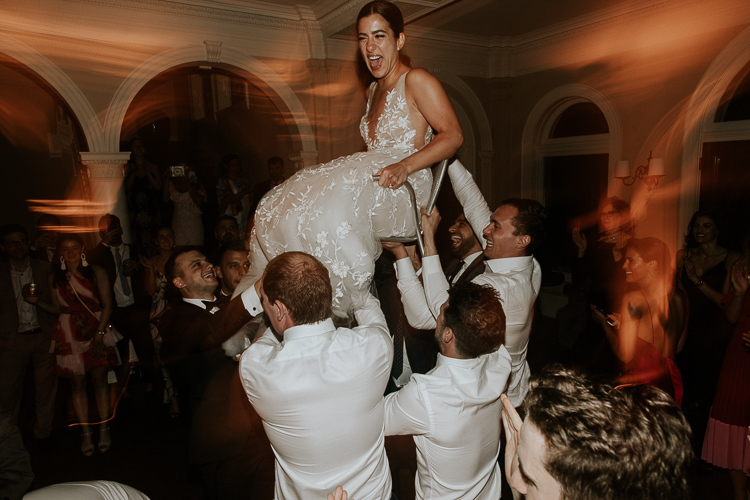 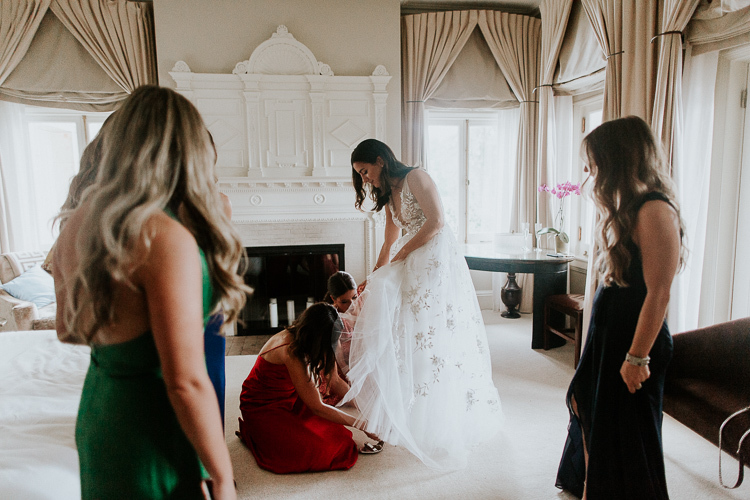 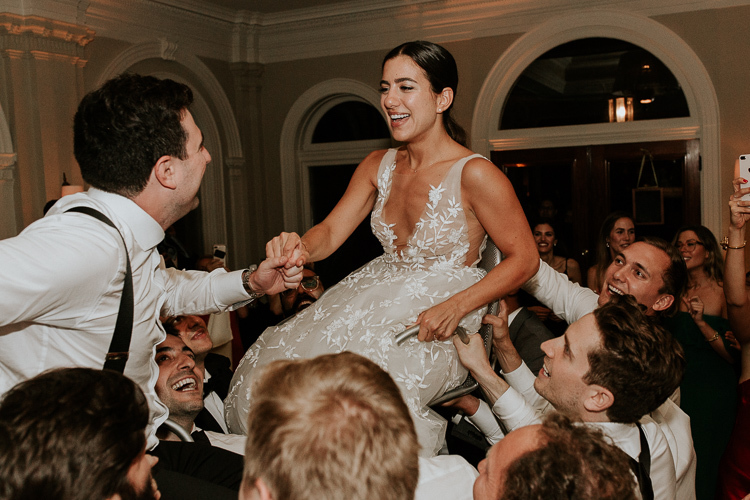 For me, it started when I hid behind the curtain in one of my best friend`s room, where I had a perfect view of the ceremony, and got to watch Jordan & our bridal party walk down the aisle. 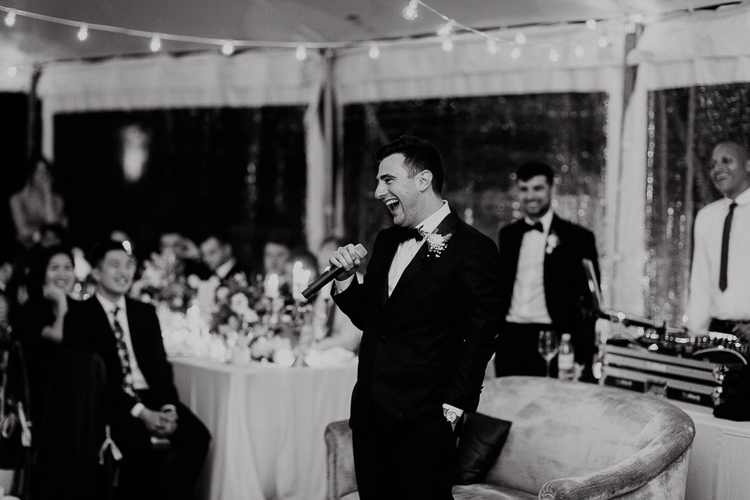 For Jordan, it was when he heard the string trio start playing ”latch” and he knew that it was my time to walk out. 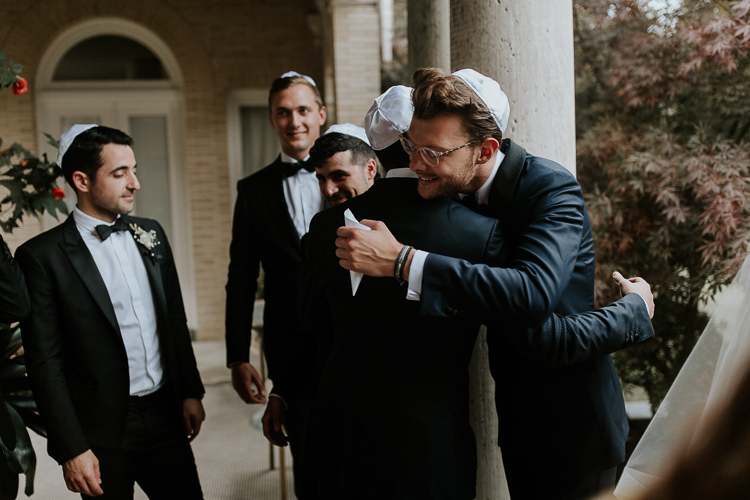 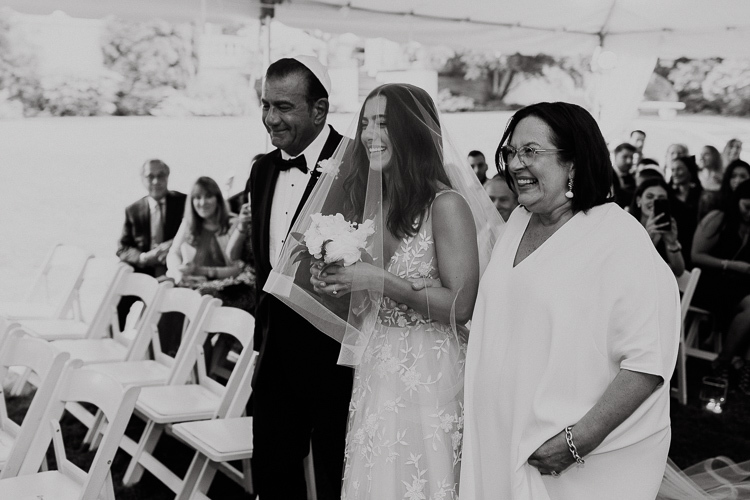 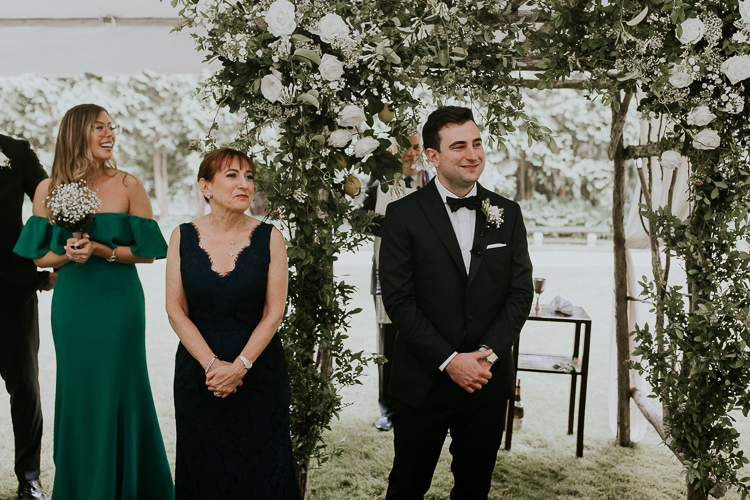 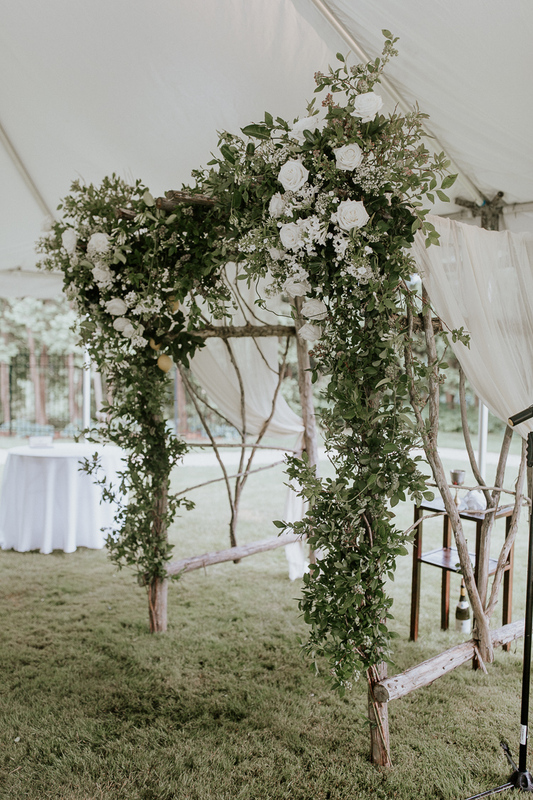 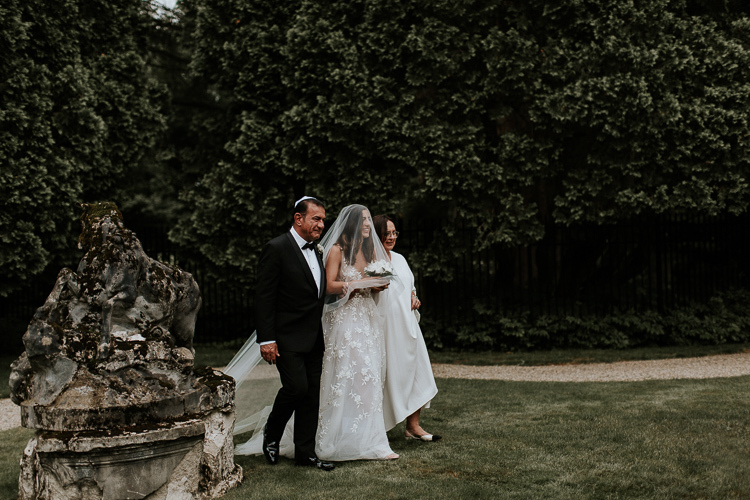 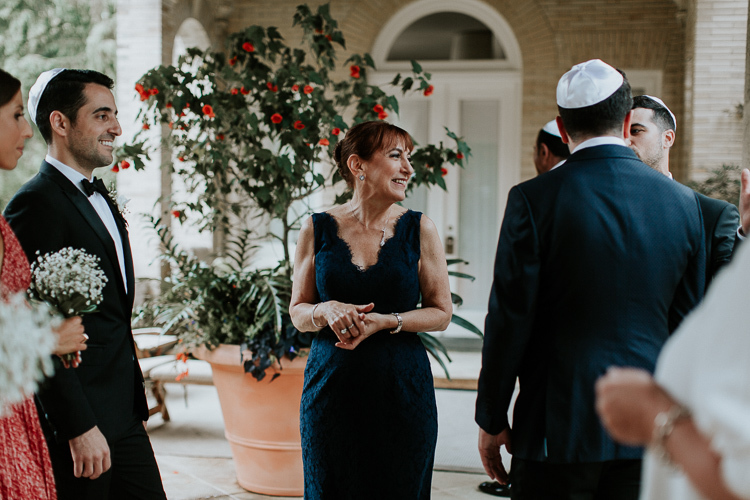 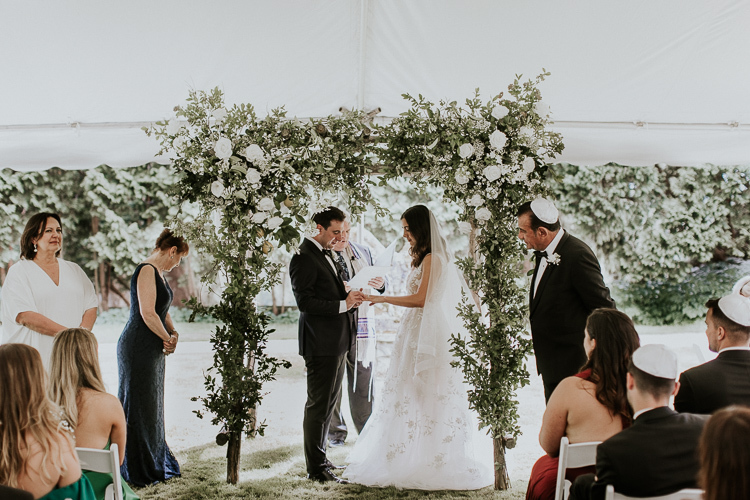 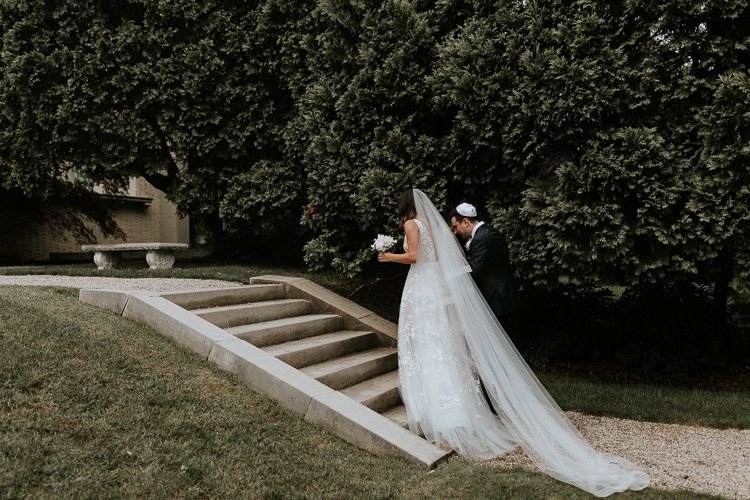 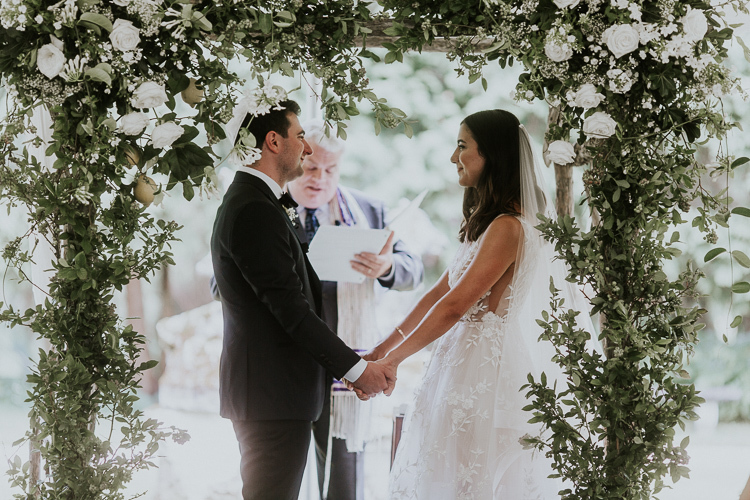 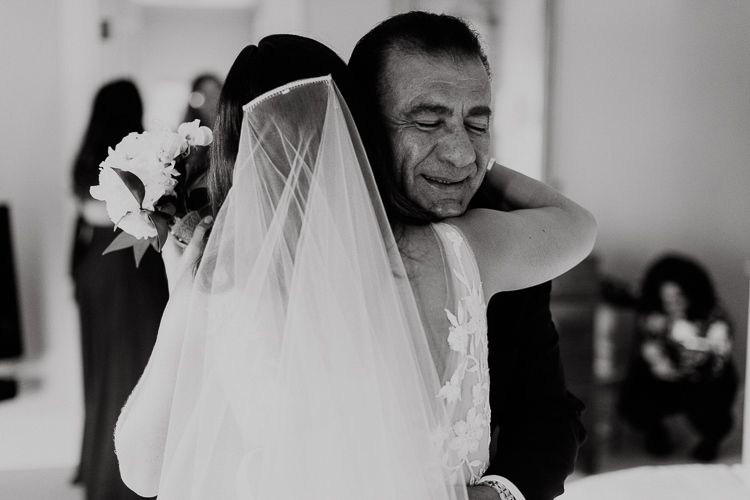 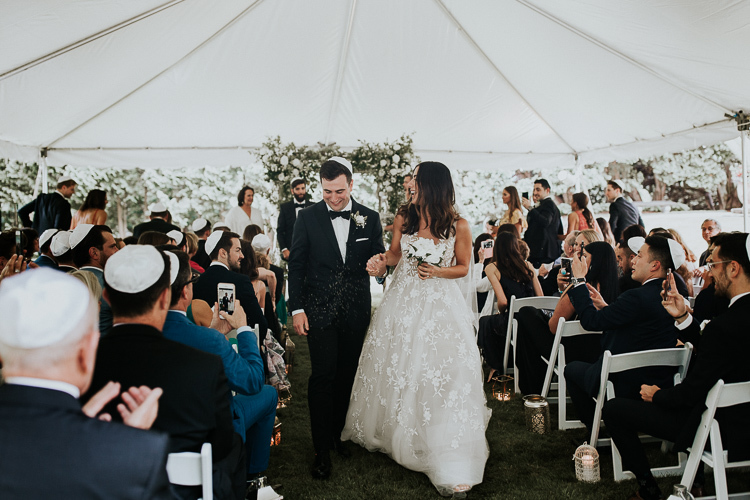 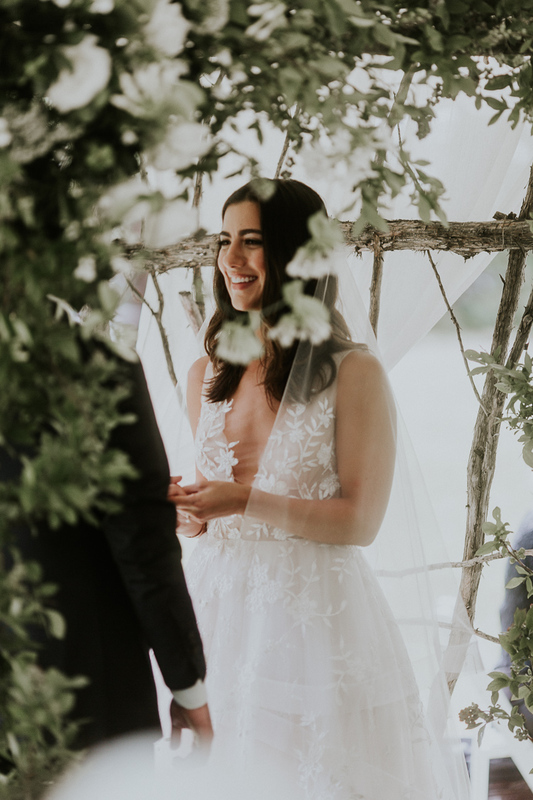 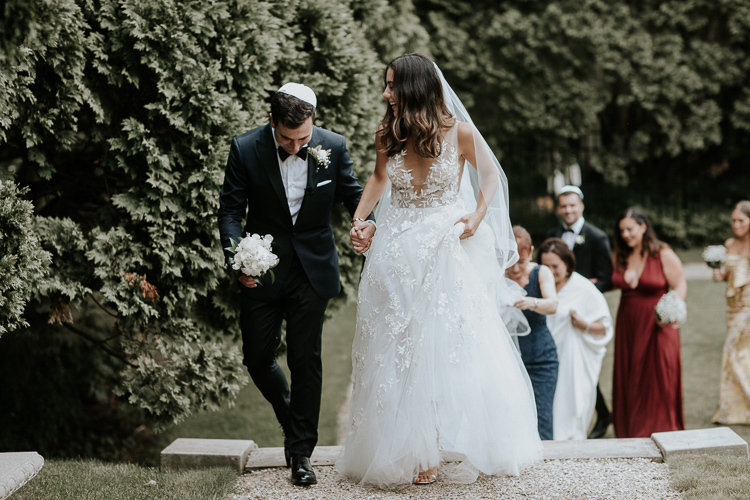 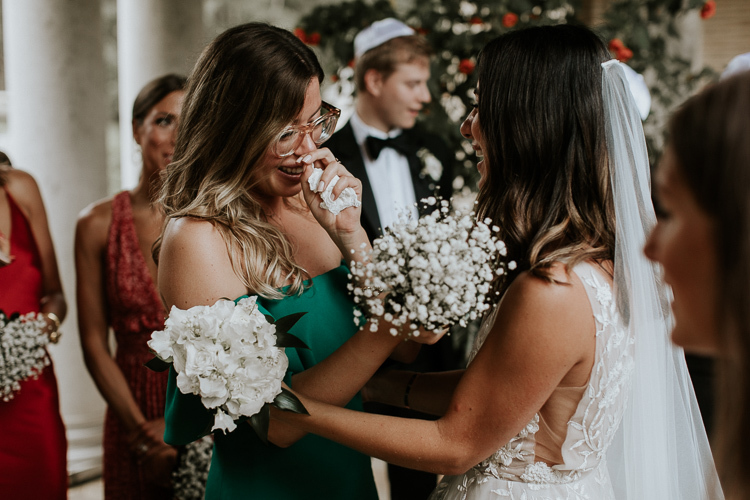 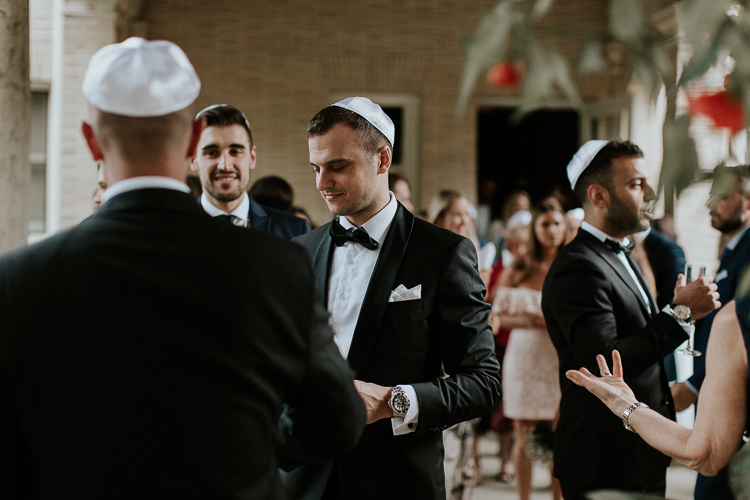 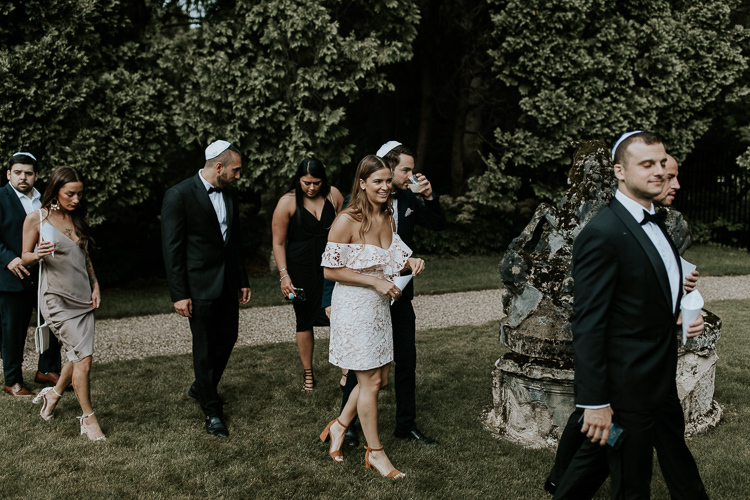 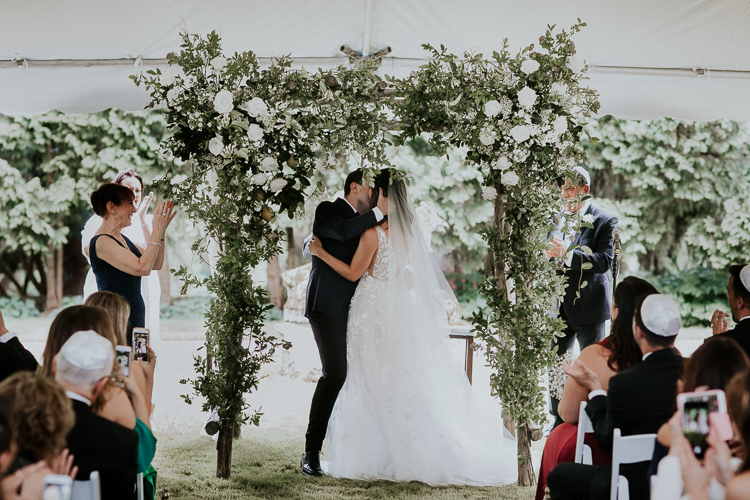 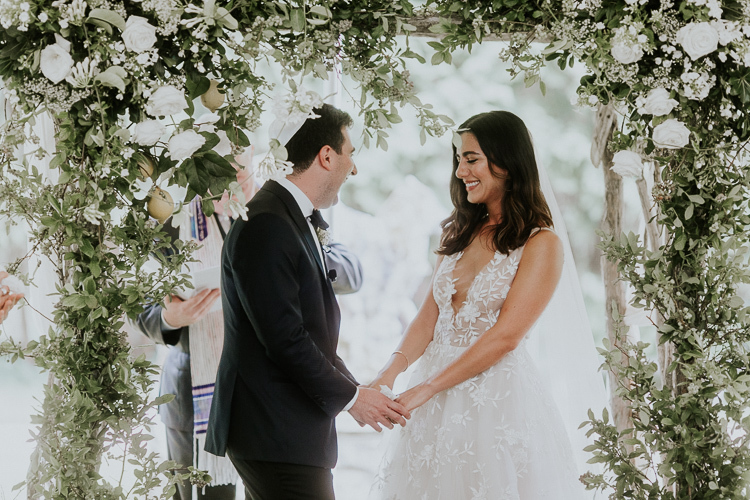 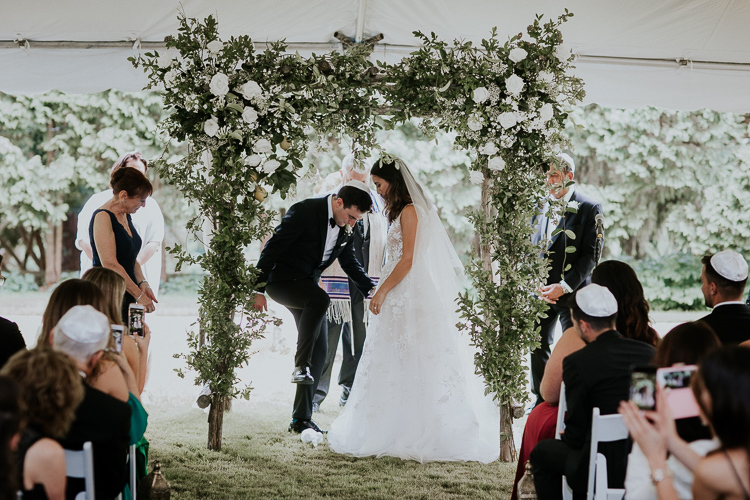 We both remember standing under the chuppah feeling each second that was passing by, and taking in every moment. 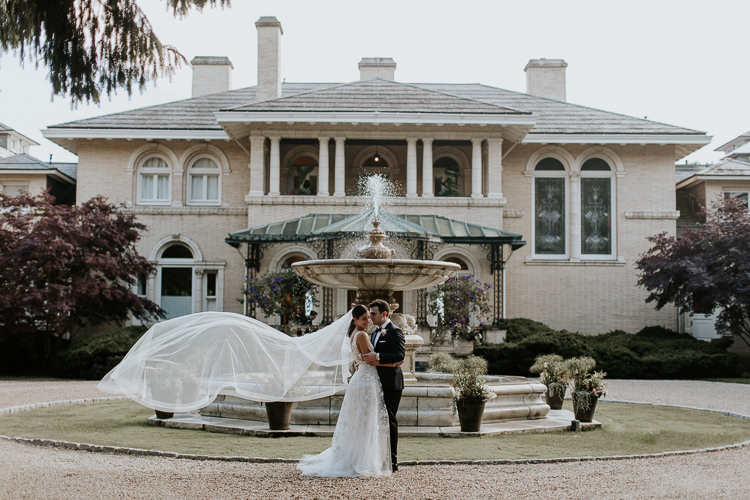 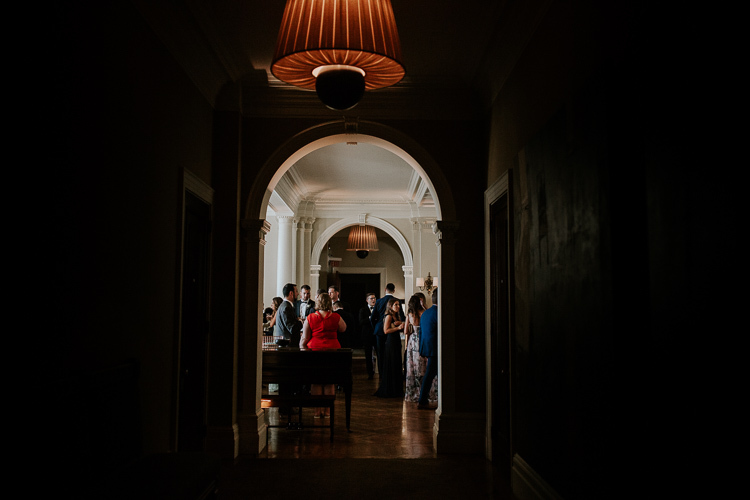 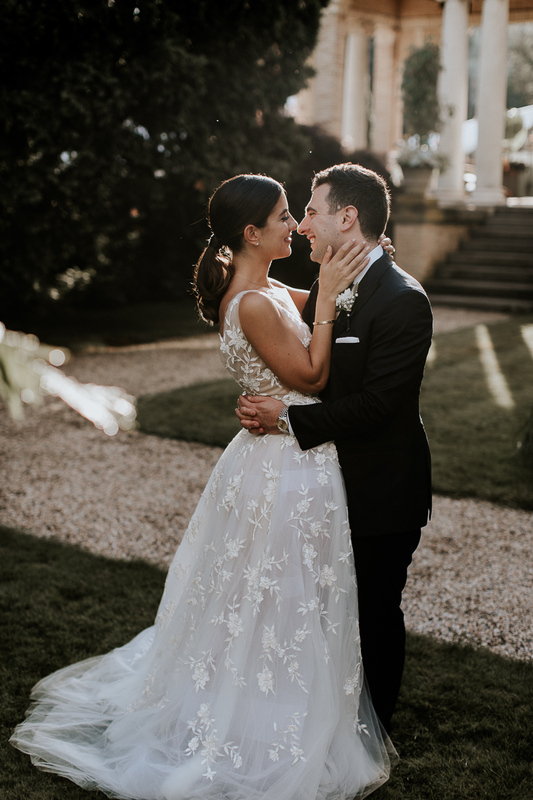 3) Why did you choose The Wheatleigh for your venue and what was the overall wedding vibe? 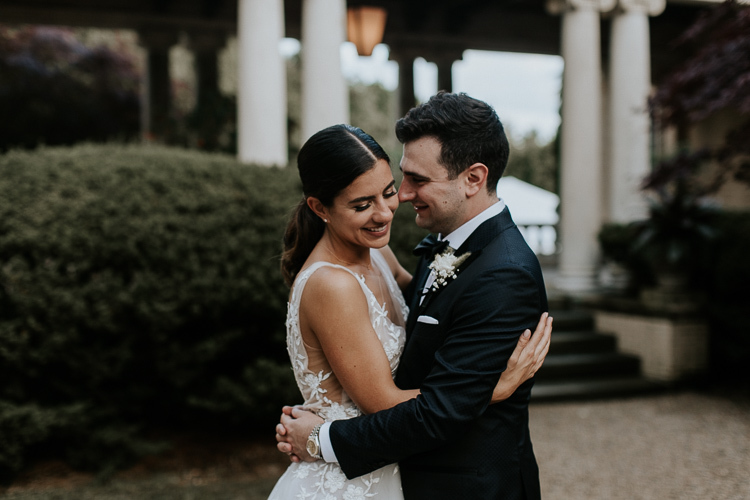 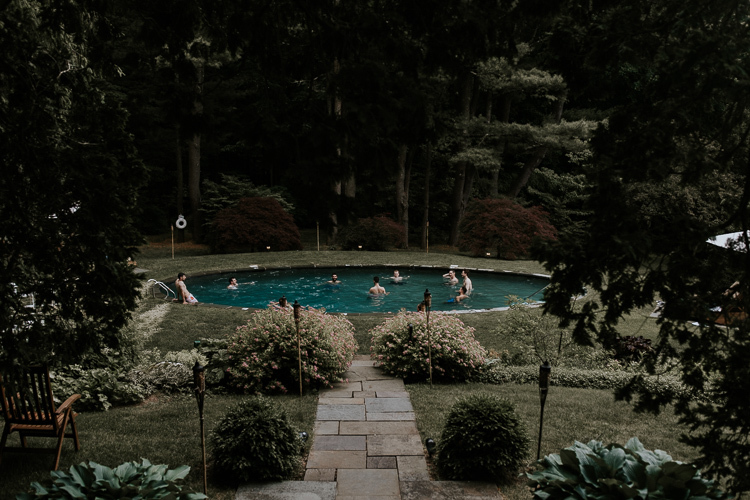 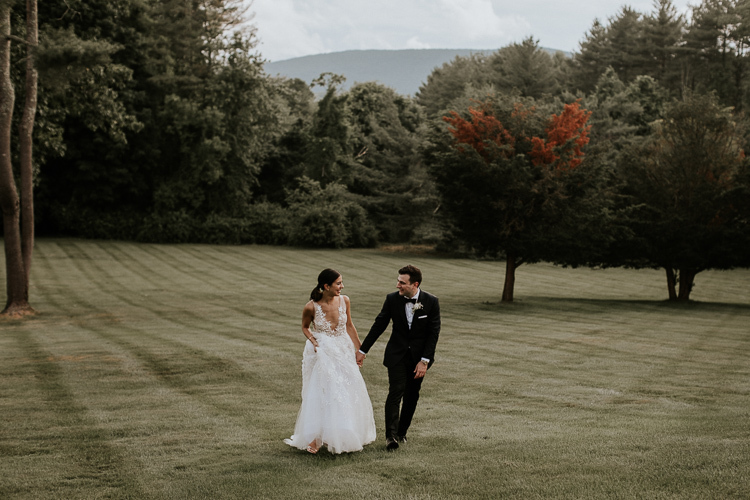 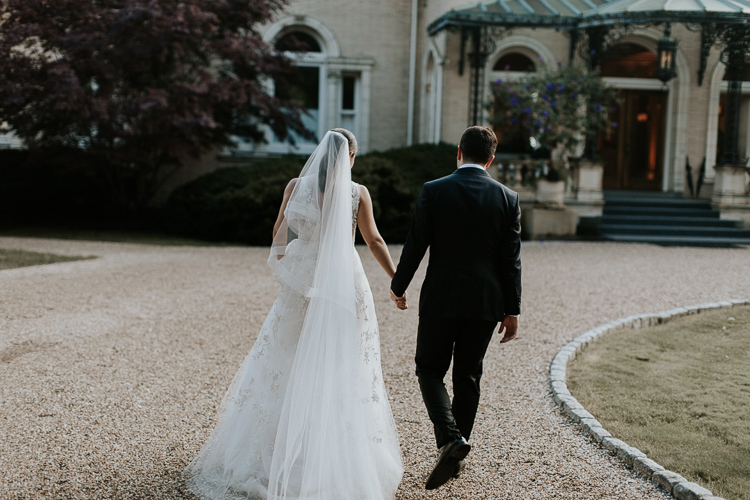 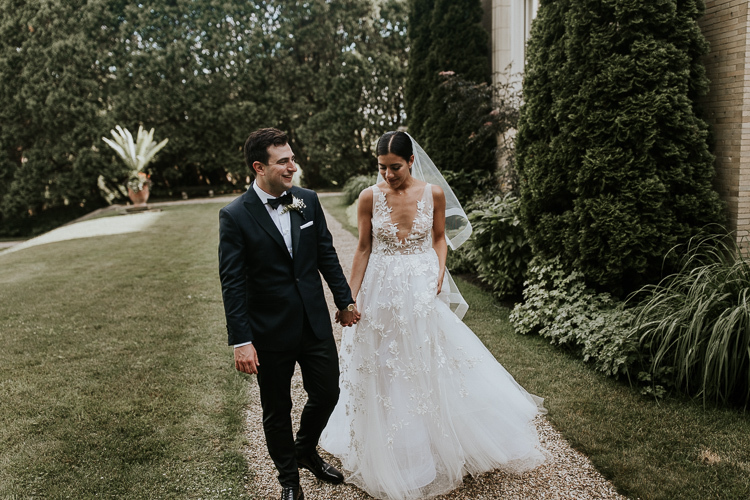 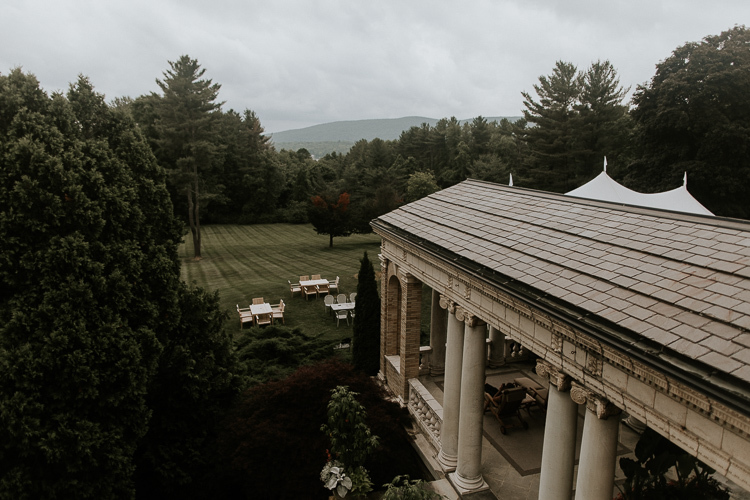 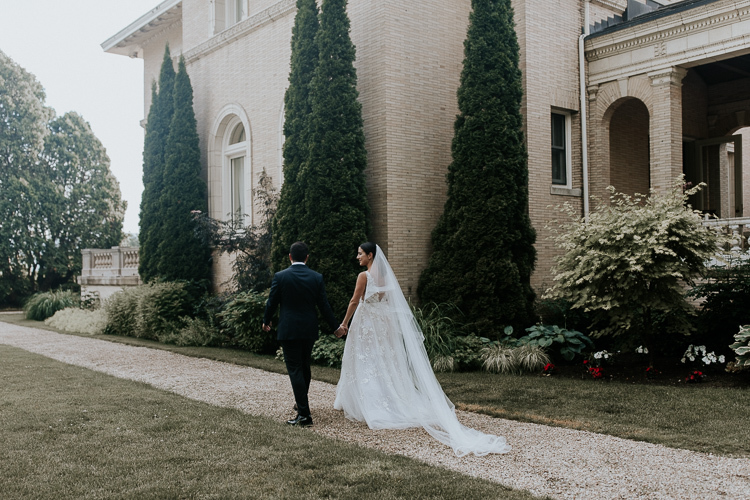 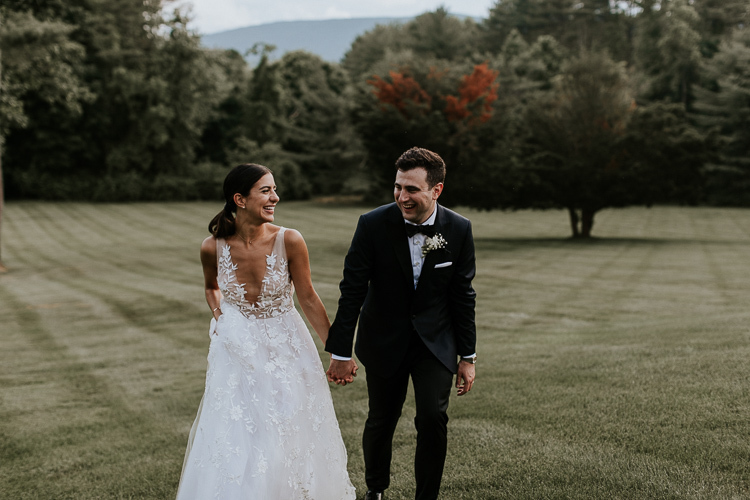 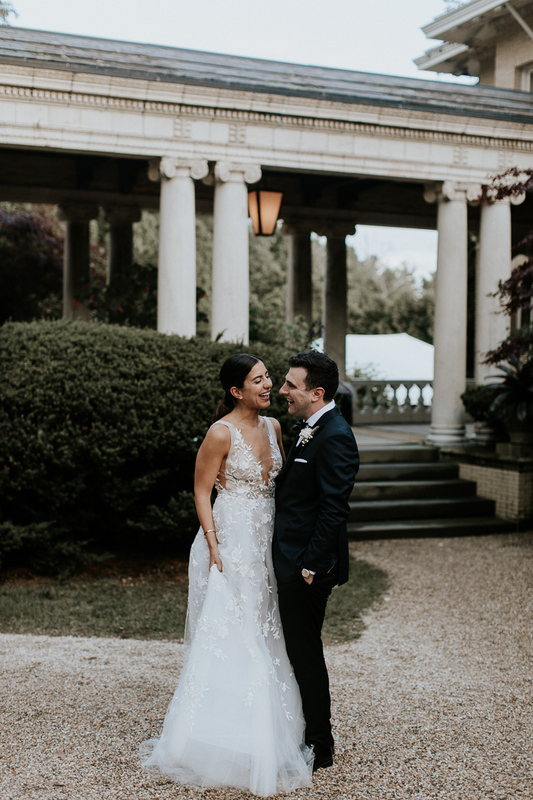 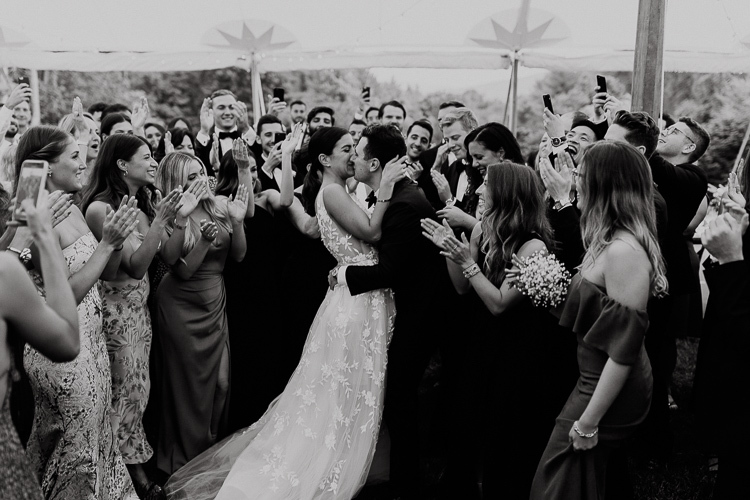 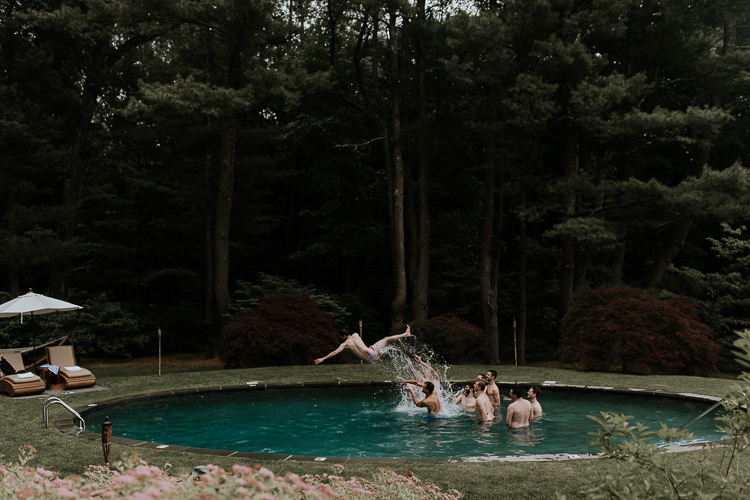 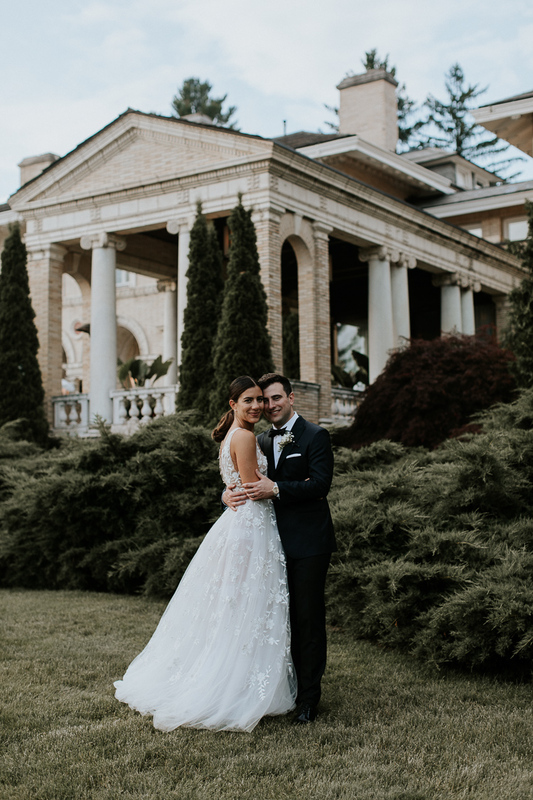 We’ve always loved the idea of getting married somewhere in New England, since we’ve shared so many memories there together, and many growing up as children. 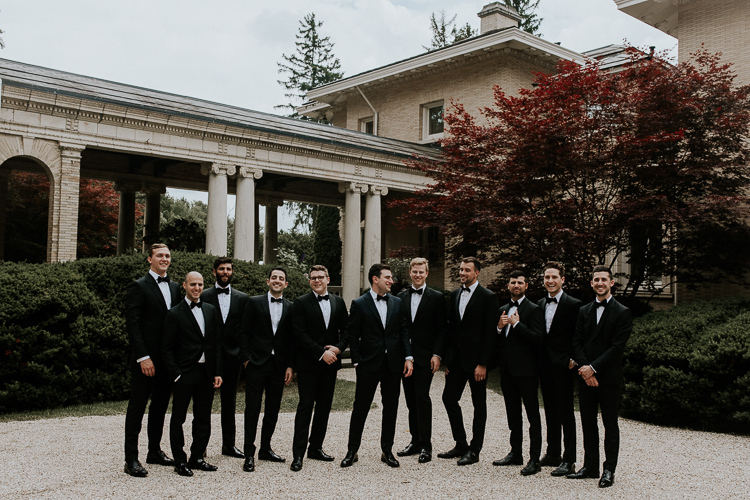 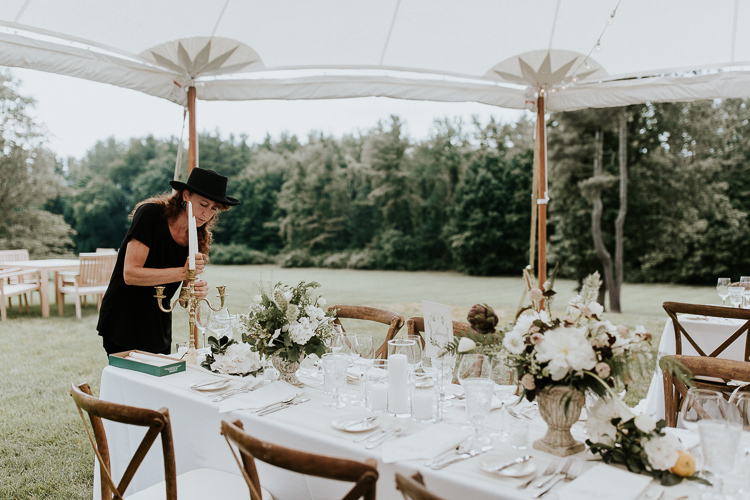 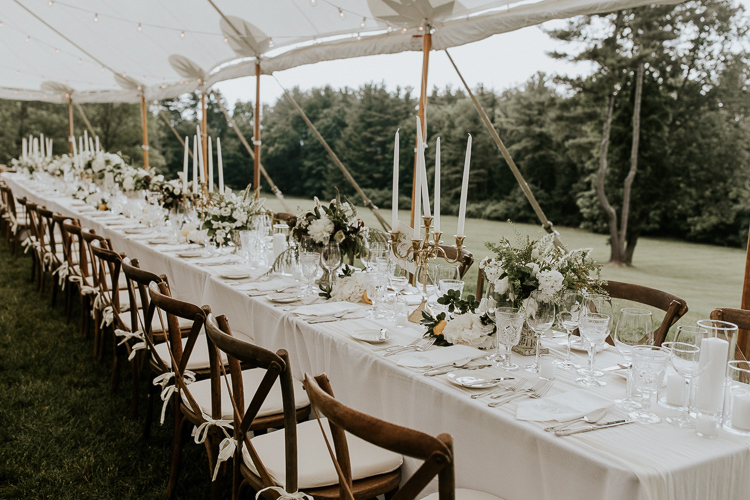 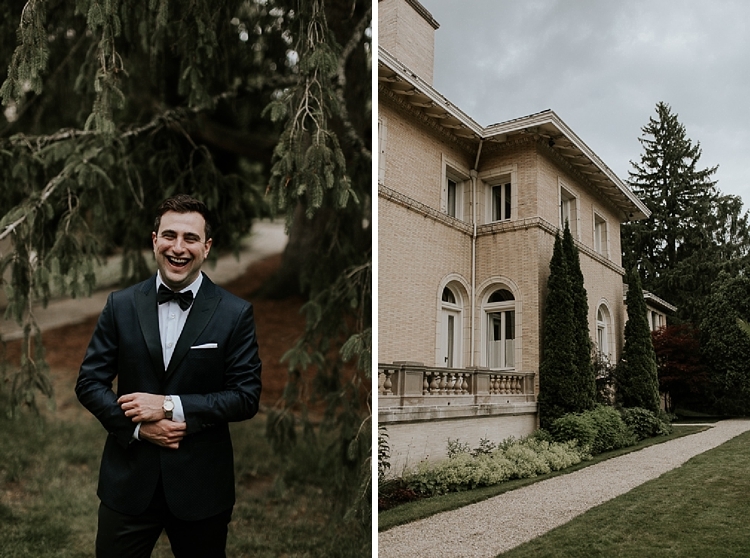 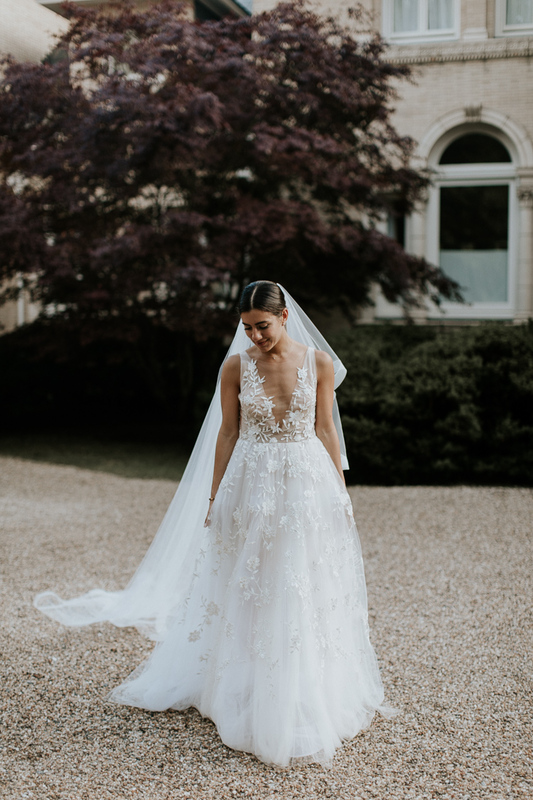 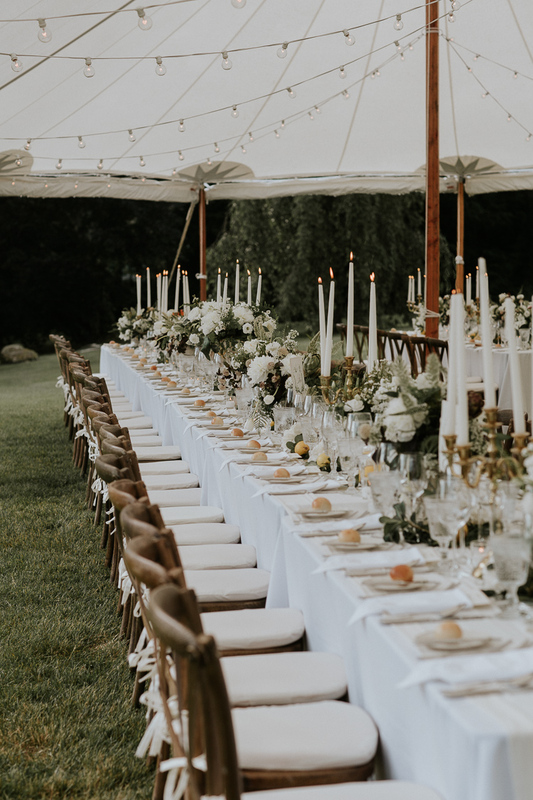 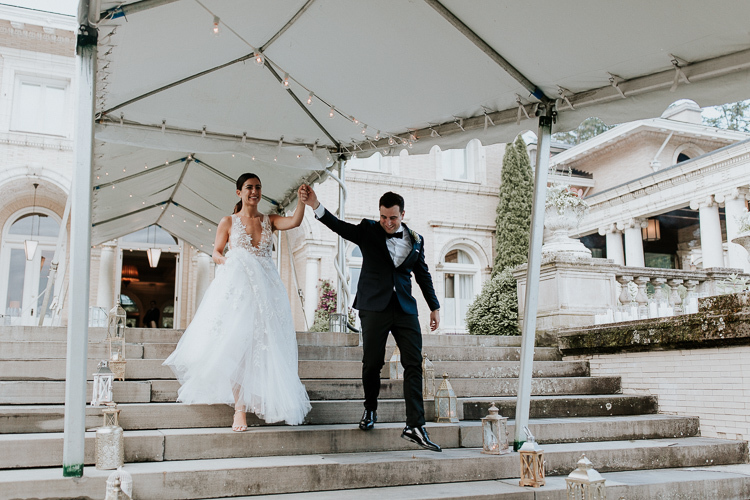 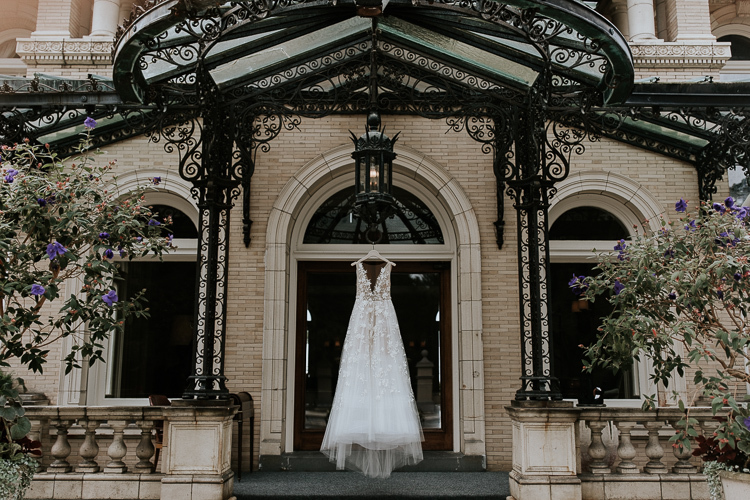 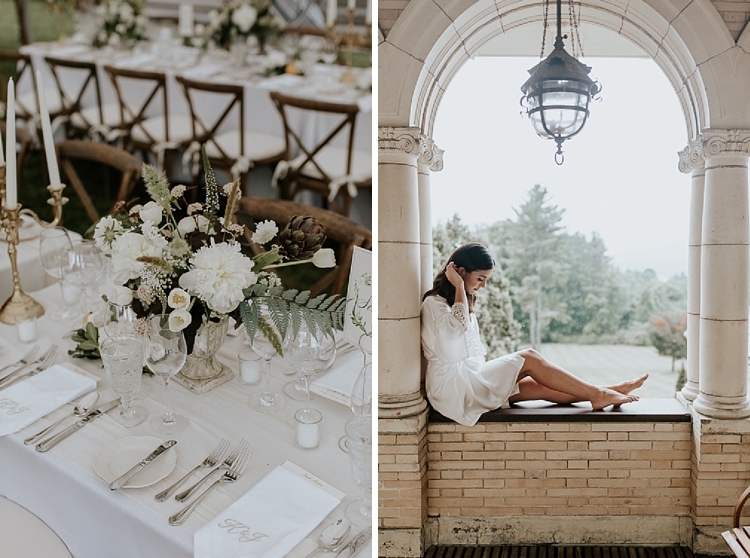 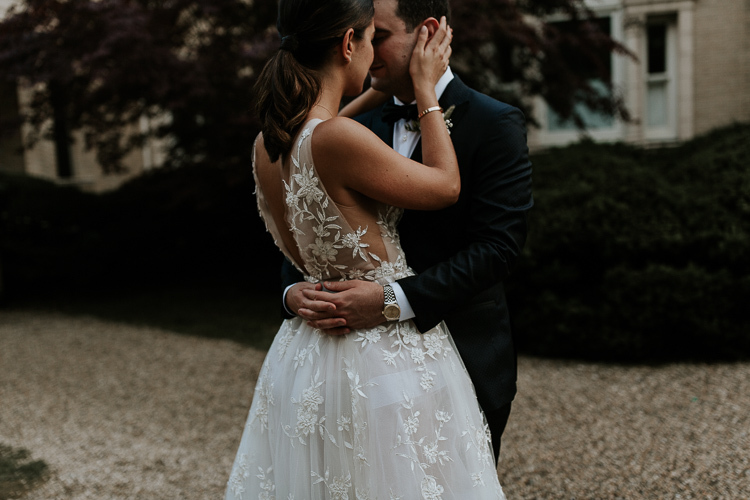 As we started looking at venues, sometime in December 2017, we visited and exchanged with venues all over New England from Rhode Island to Maine and Massachusetts. 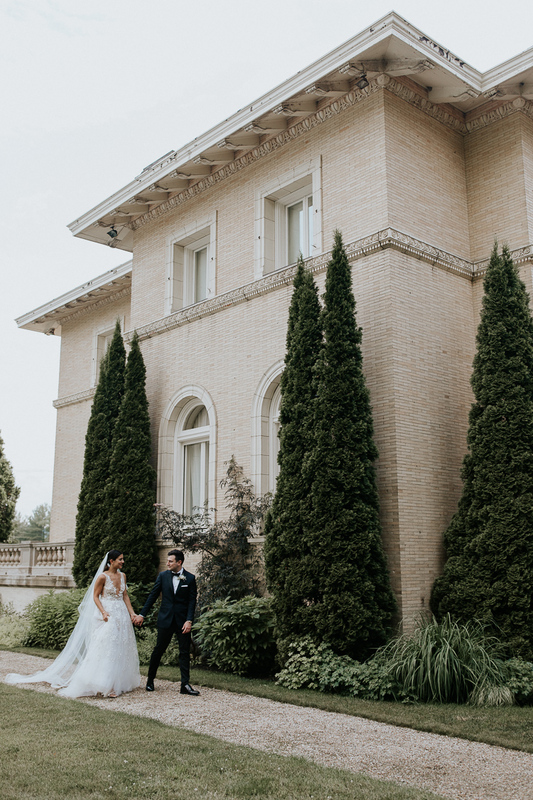 We even ventured around our side of the border, but no venue checked every item off our must-have list. 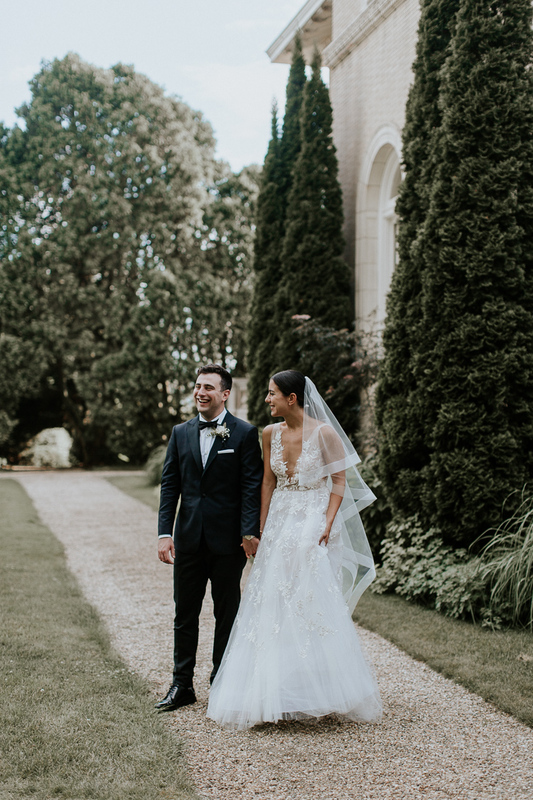 Finally, we visited the Wheatleigh during a stormy evening in January, and even as the property was covered in snow, we knew it was perfect. 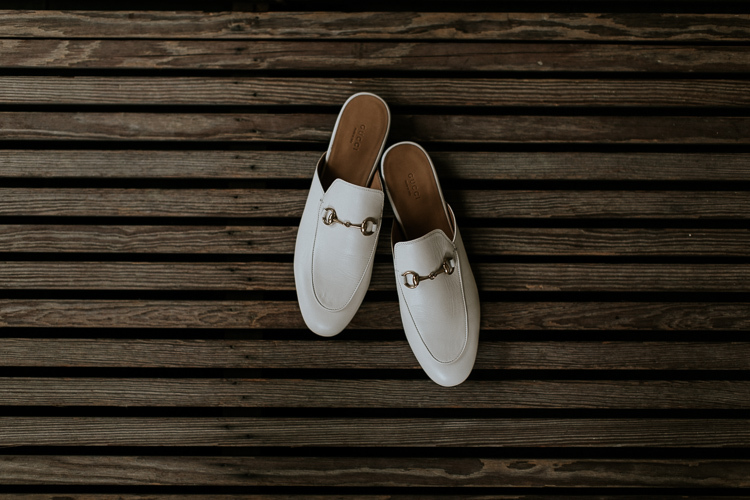 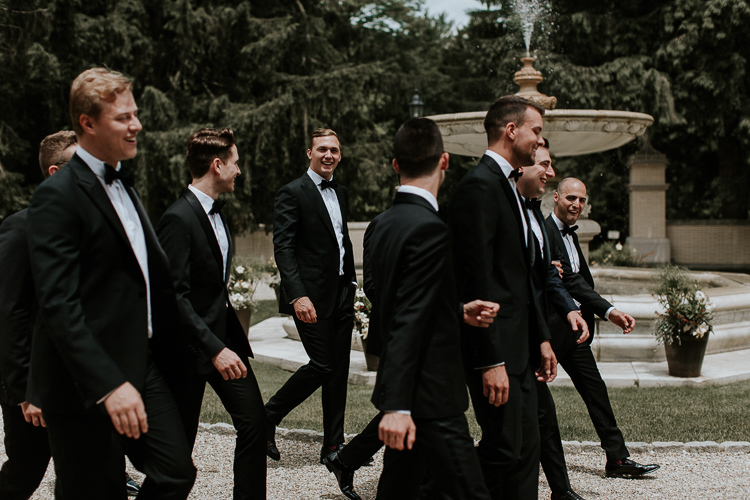 We immediately clicked with Marc Wilhelm, the managing director of the hotel. 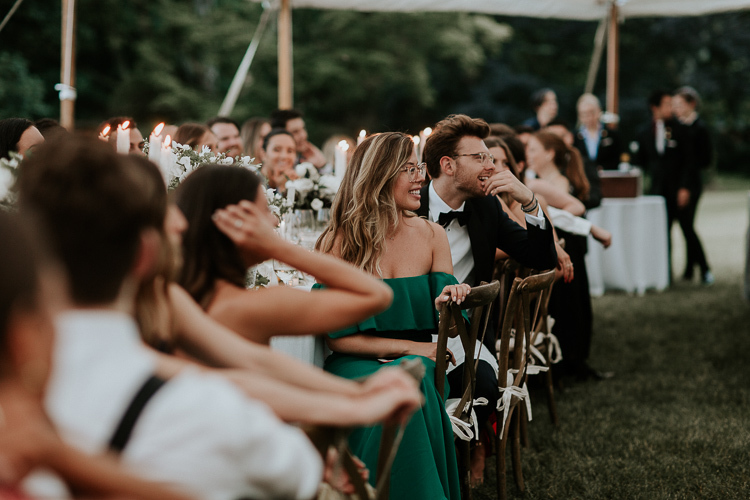 It is intimate yet absolutely breathtaking, and it is located in a vibrant small town that would allow our guests to explore and take advantage of the surrounding nature. 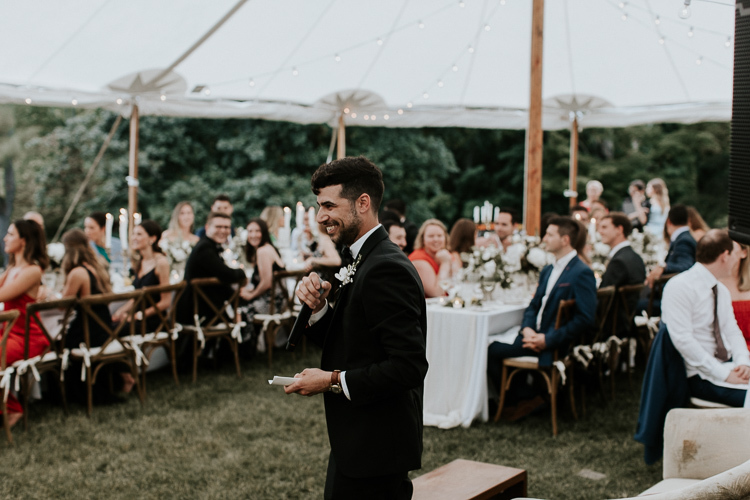 As for the vibe, we always knew that it would be more of a rural decor, with an outdoor ceremony, scenic views, and a warm atmosphere. 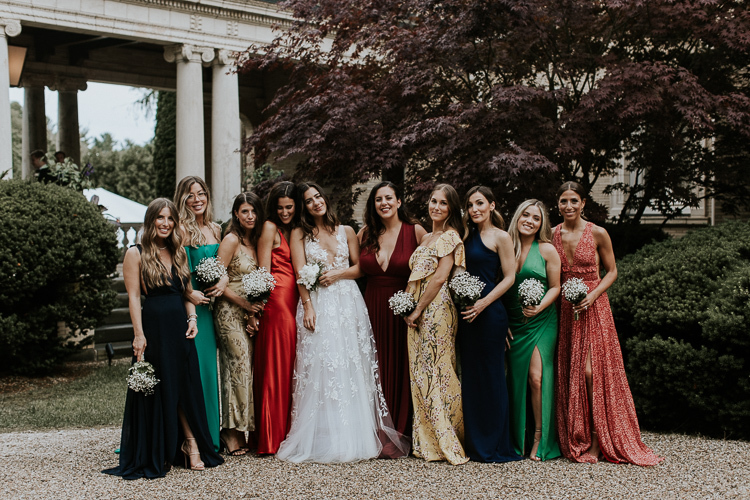 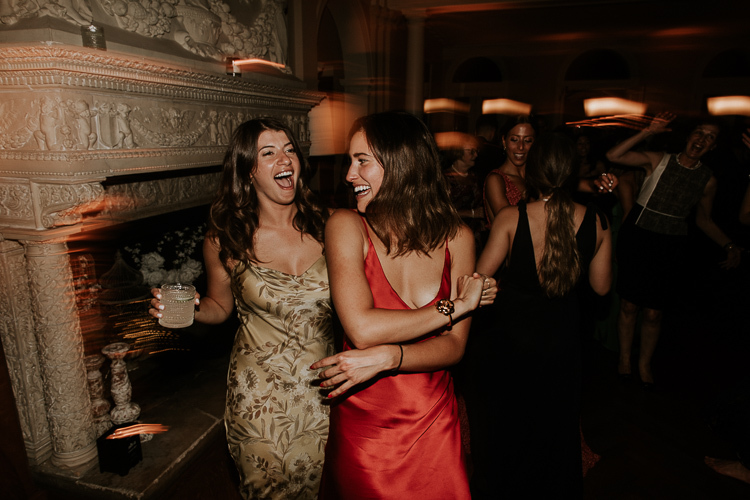 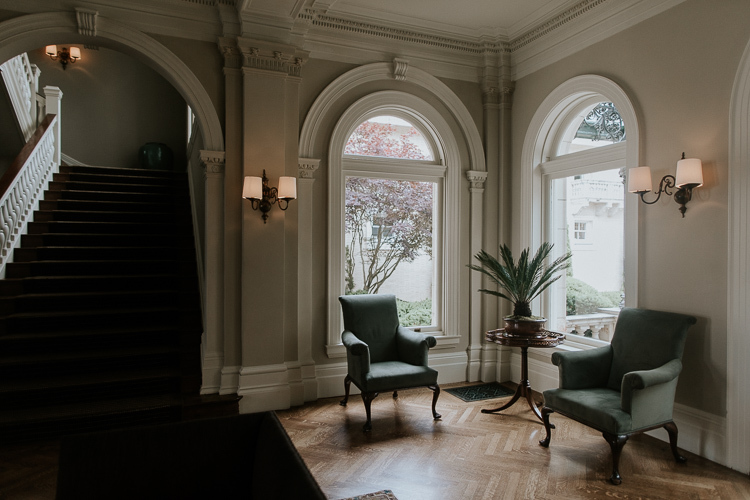 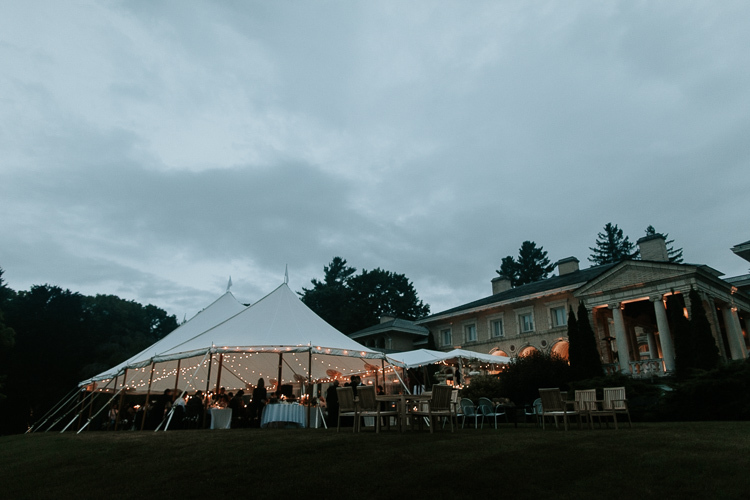 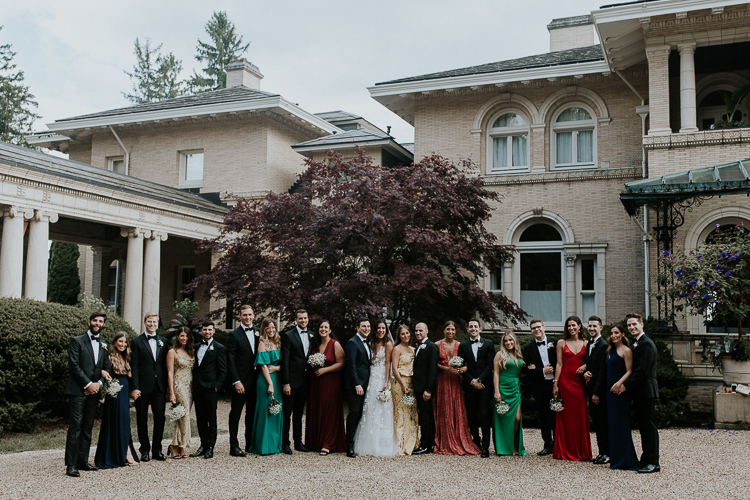 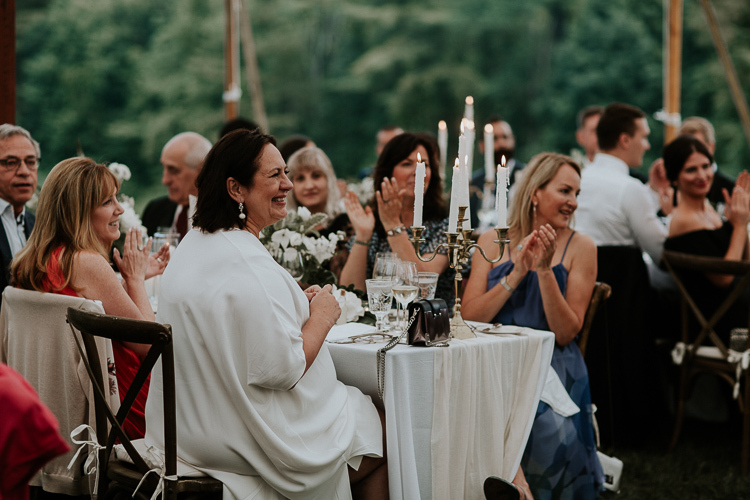 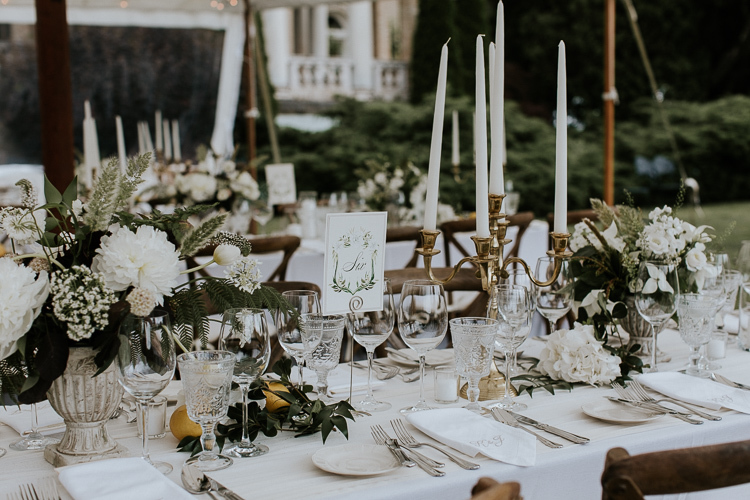 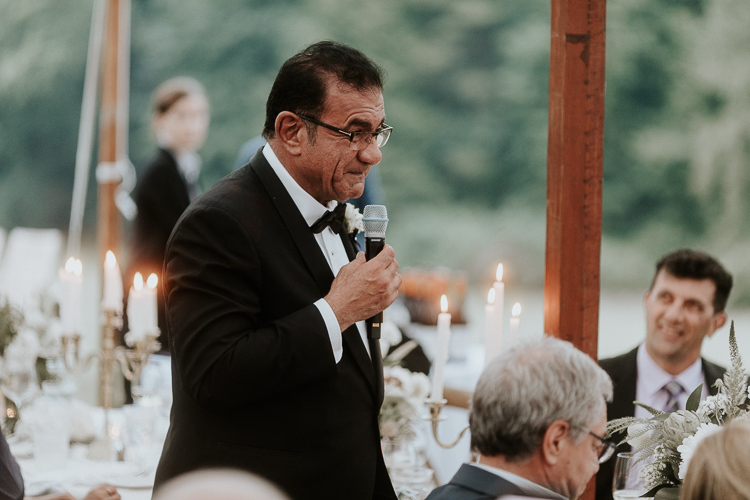 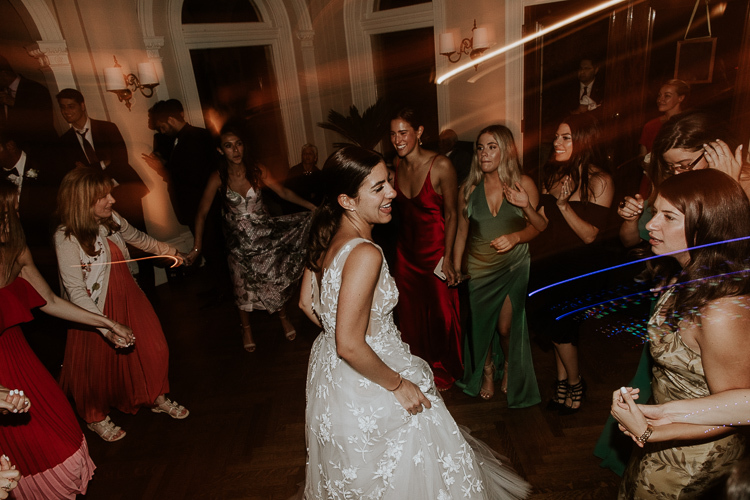 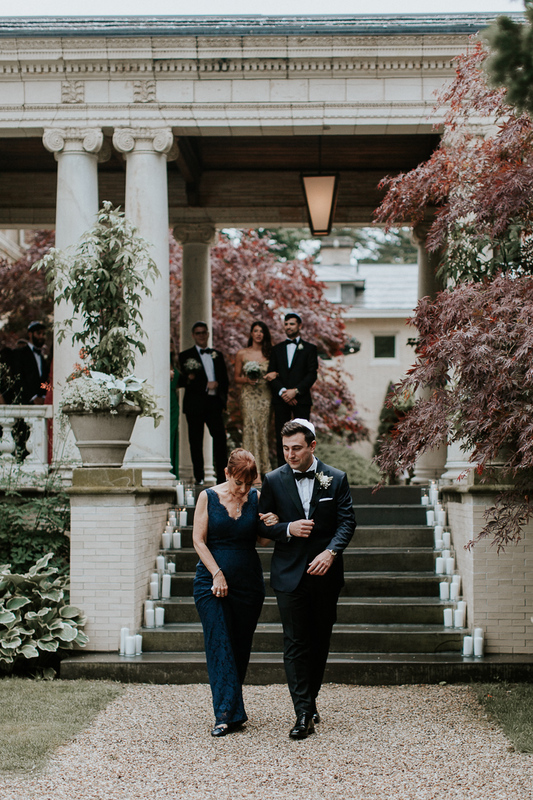 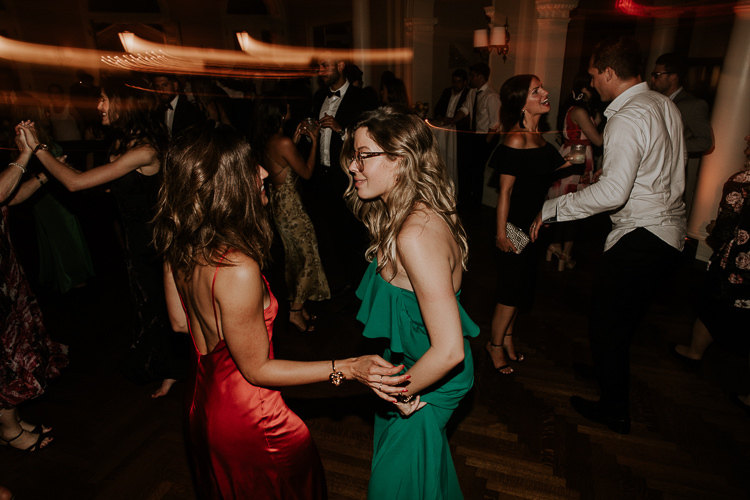 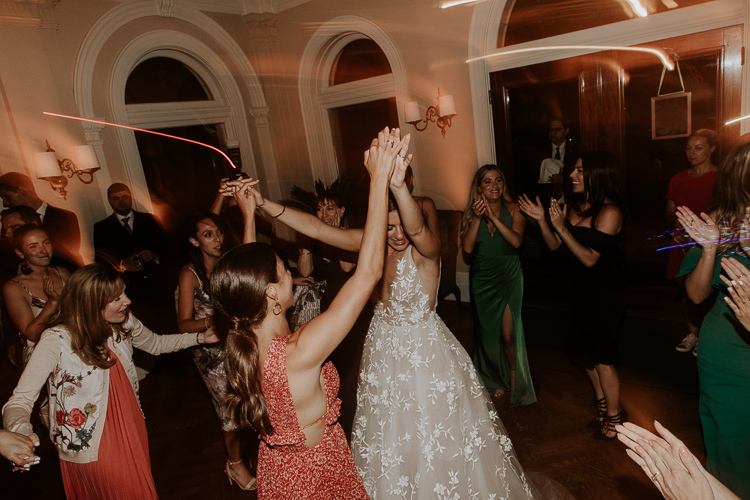 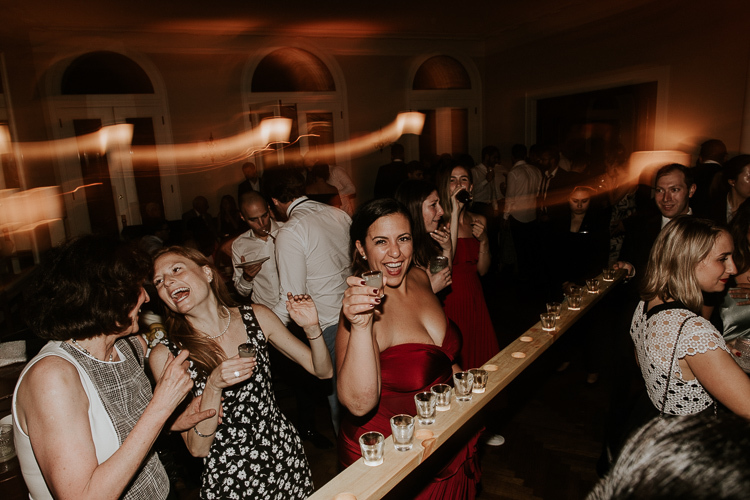 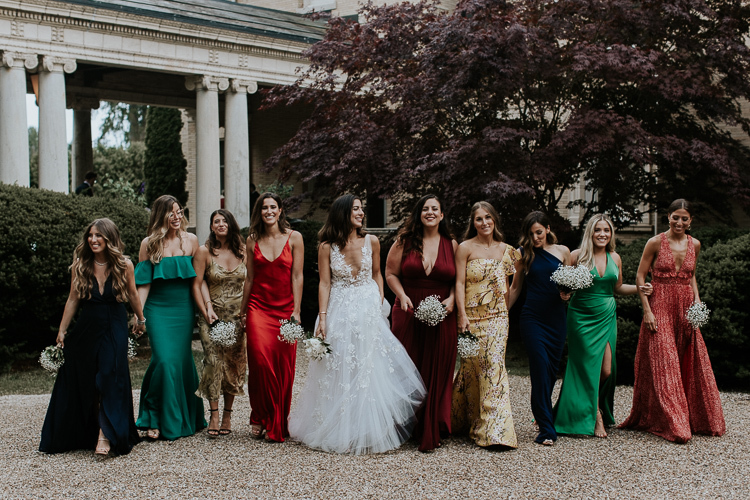 Since the property is a Florentine palace built in the 1800’s, we played on its Italian charm while still incorporating a New England convivial feel. 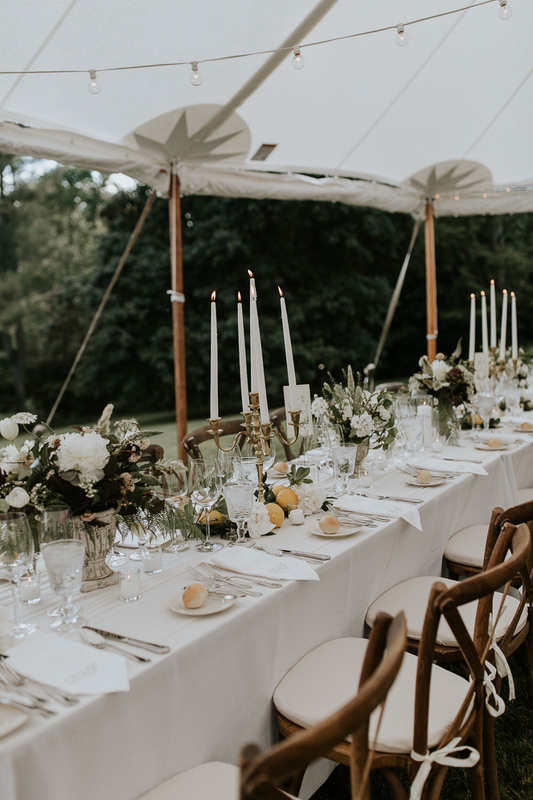 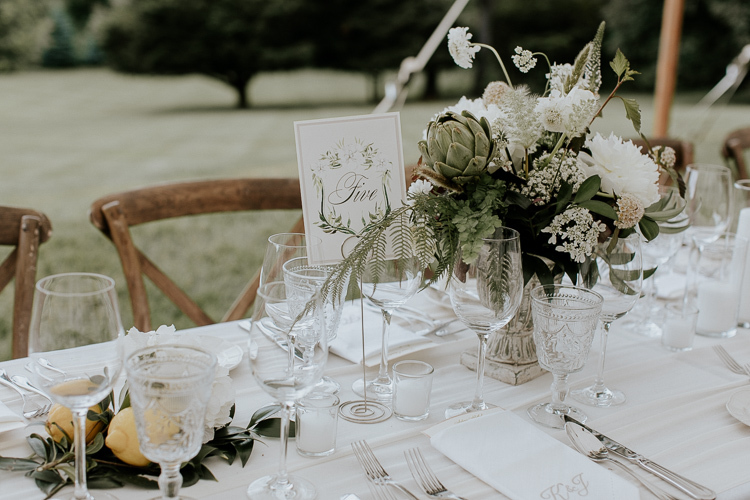 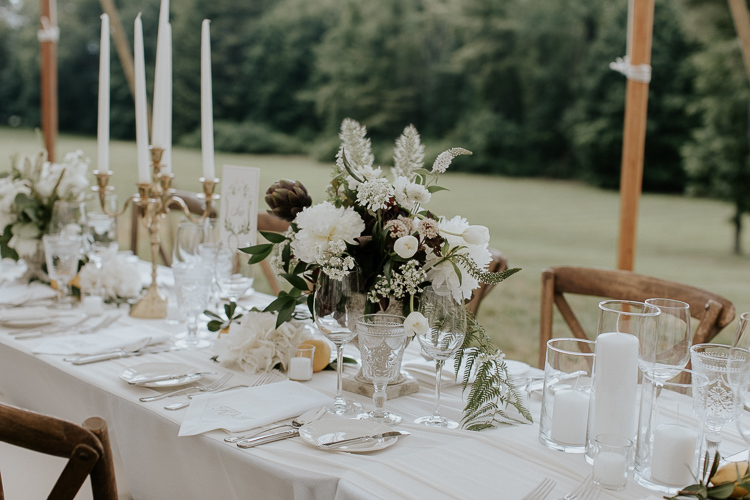 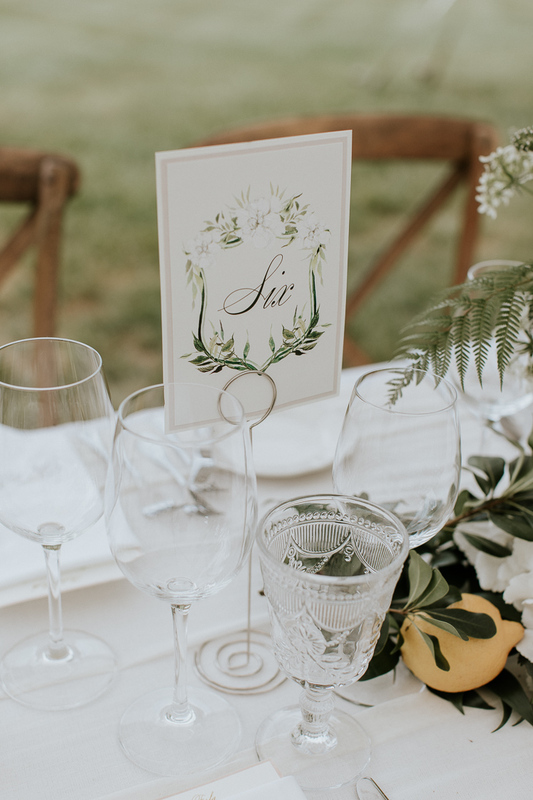 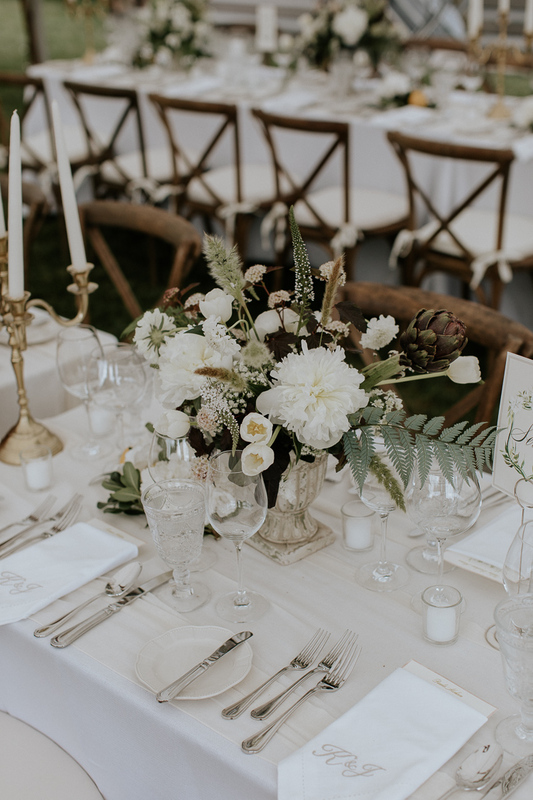 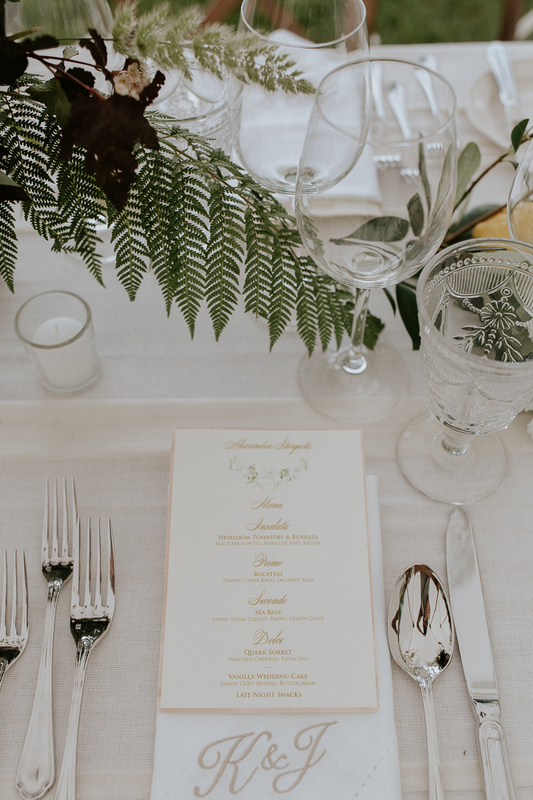 We combined things like lemons & peony arrangements on a backdrop of Berkshire mountains, and an Italian menu using the area’s seasonal ingredients. 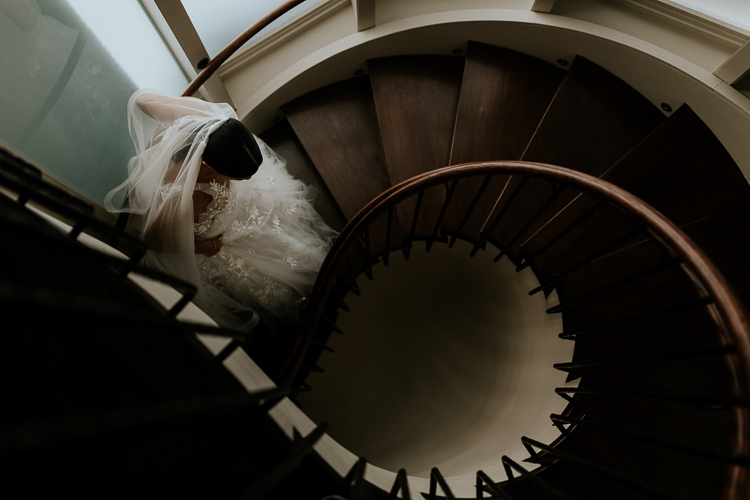 4) How did you choose your wedding photographer? 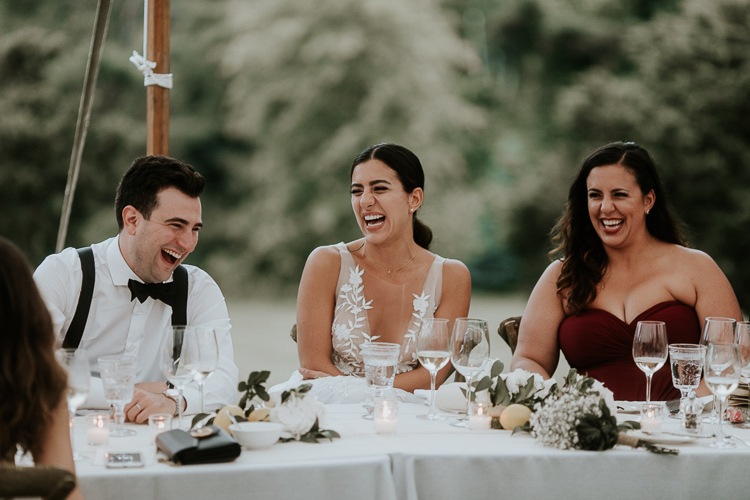 Brandon and Jess shot our close friends’ Gen & Michael’s wedding almost three years ago, and although the photos speak for themselves, their personalities are just as much of a selling point. 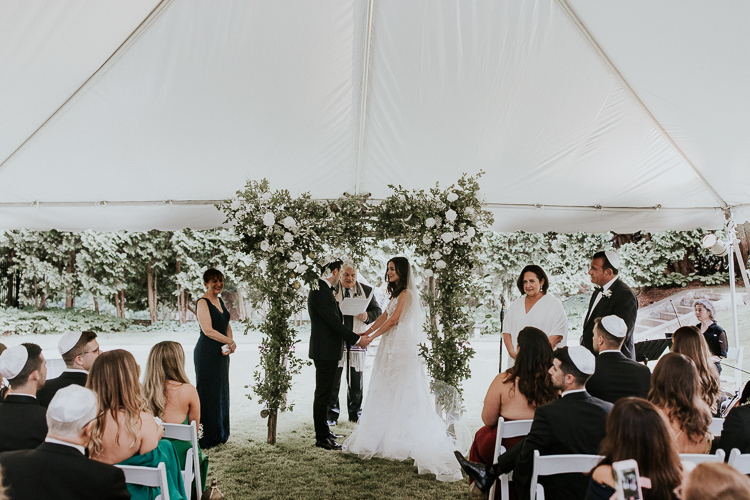 We initially did not think to reach out, since we were planning on a relatively short timeline and figured they were booked up. 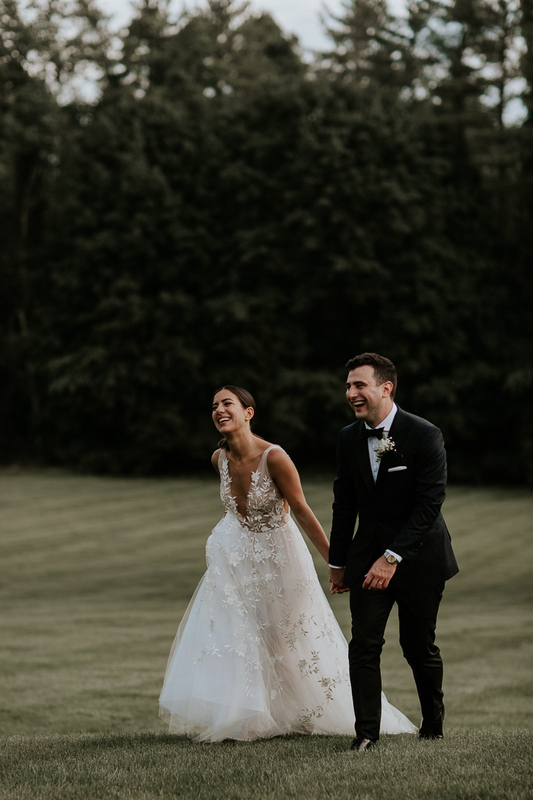 Gen recommended that we go for it anyways, and to our surprise, that weekend happened to be free! 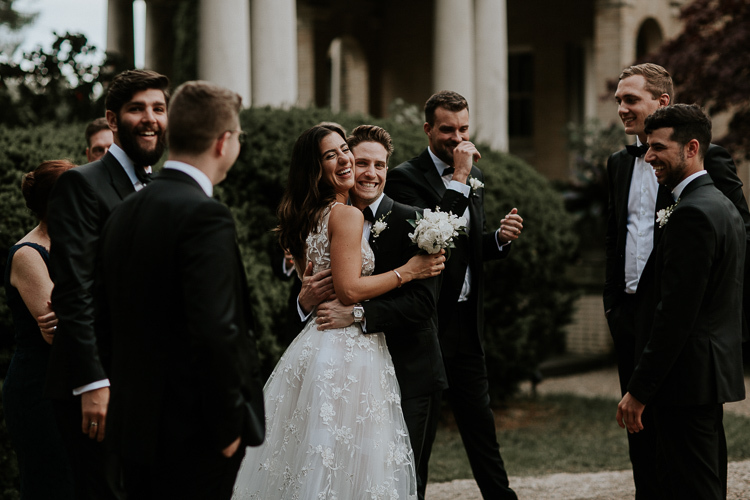 This was one of the best wedding decisions we made, since Brandon and Jess are honestly a pleasure to work with and we all had so much fun posing for them. 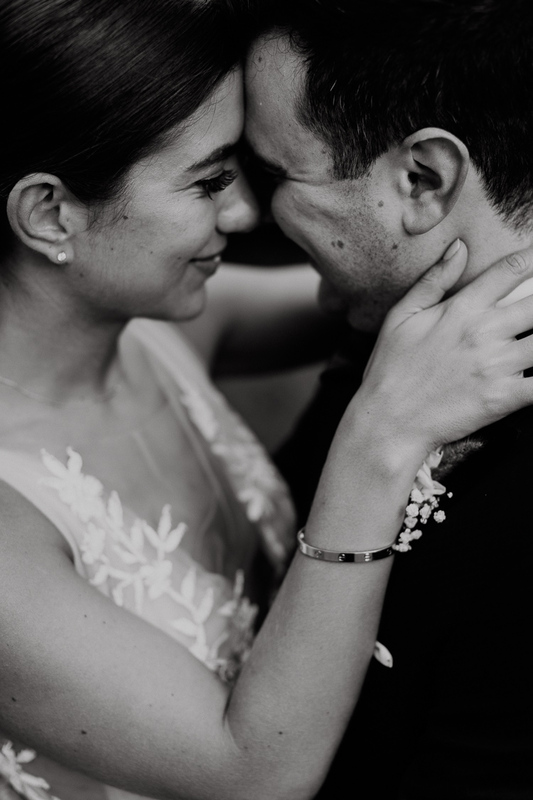 5) Do you have any advice for newly engaged couples? 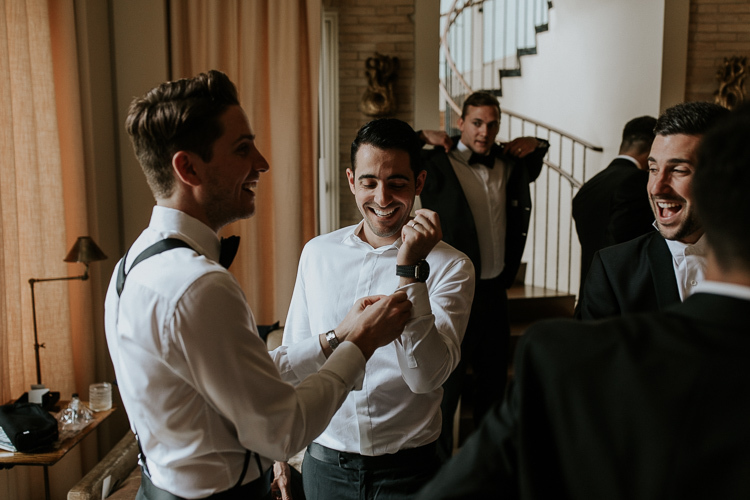 Enjoy the planning process, since it lasts a lot longer than the wedding. 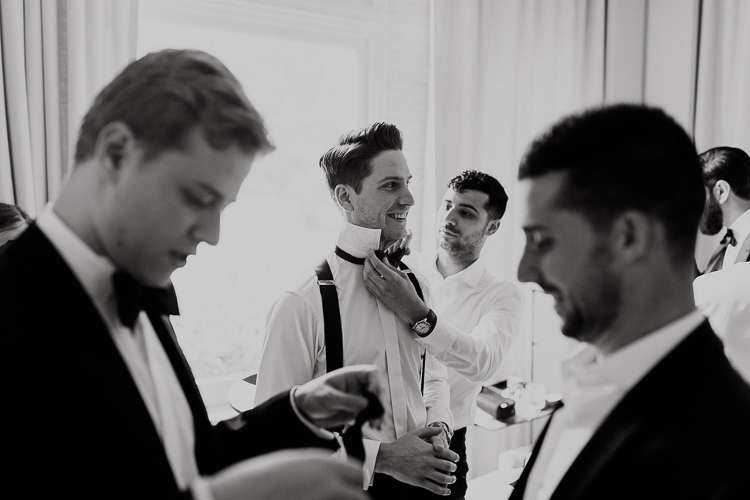 There are moments in planning that will inevitably be more stressful or tedious, but try to let go of those as much as possible. 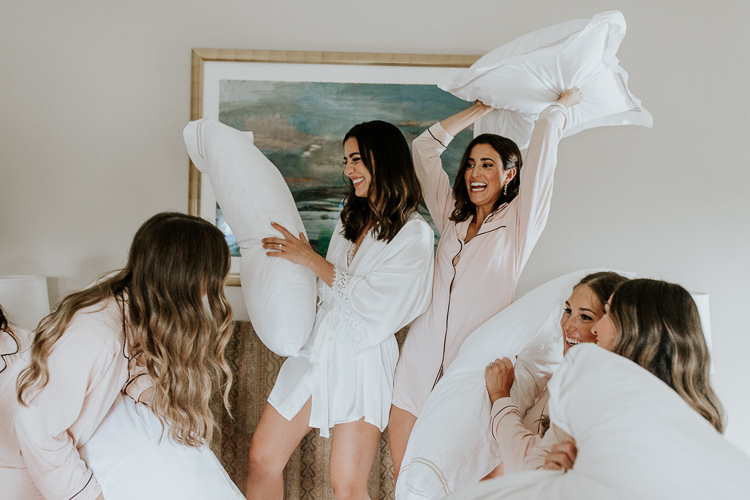 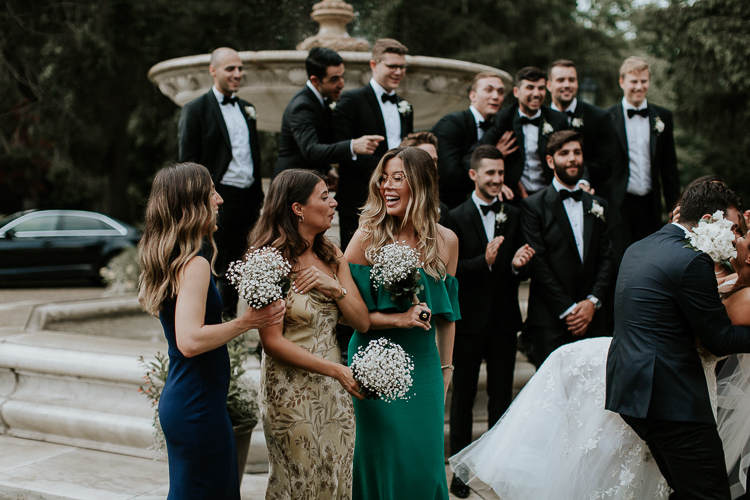 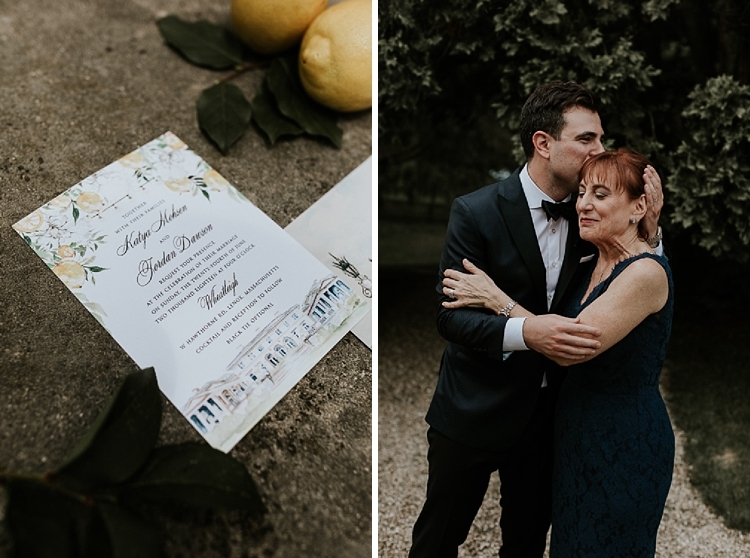 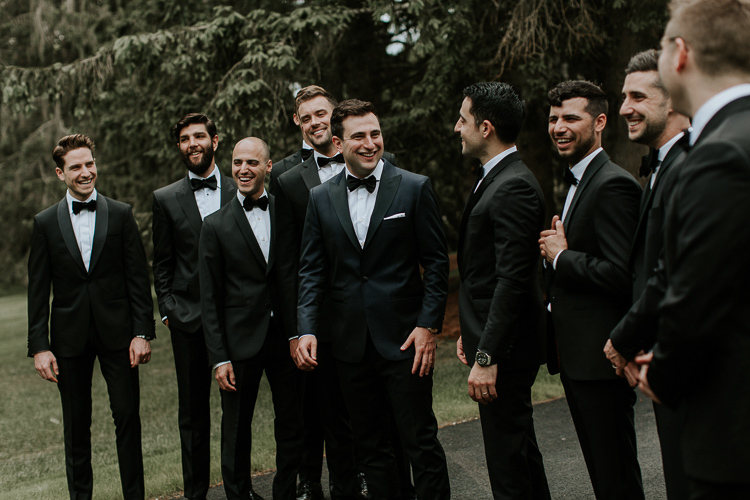 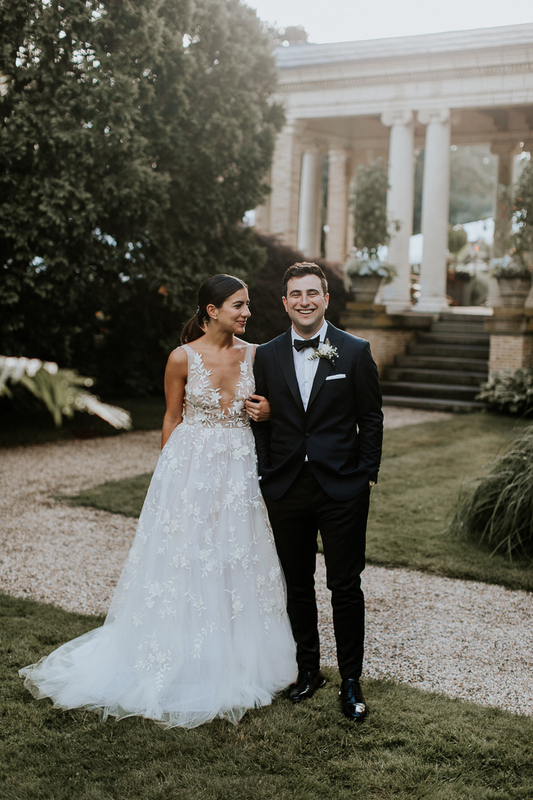 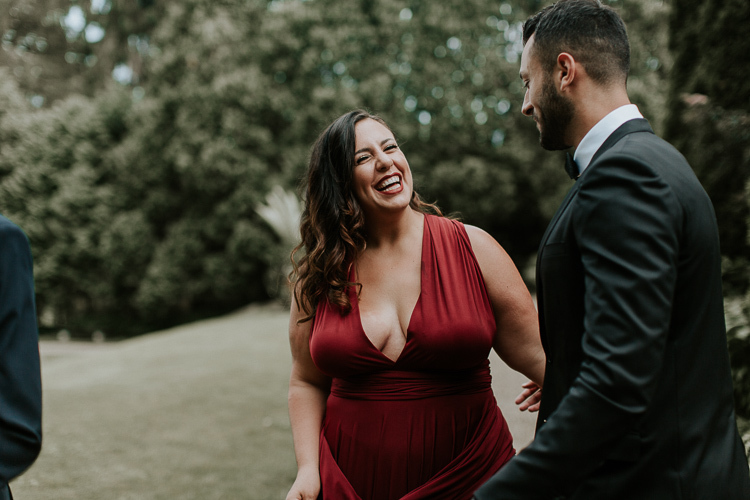 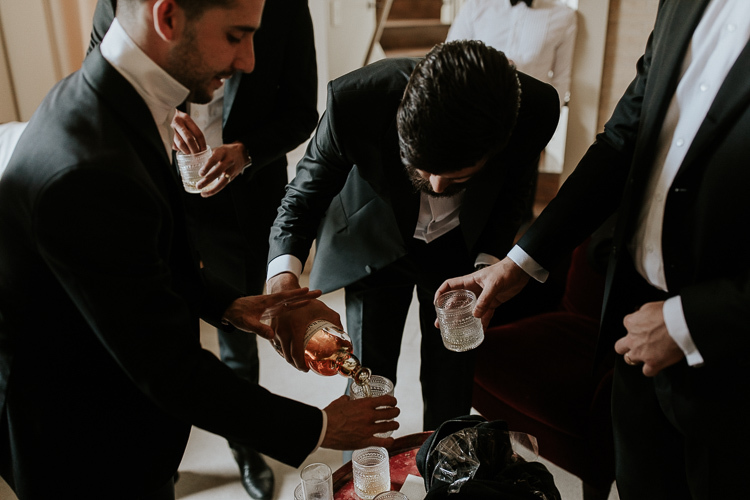 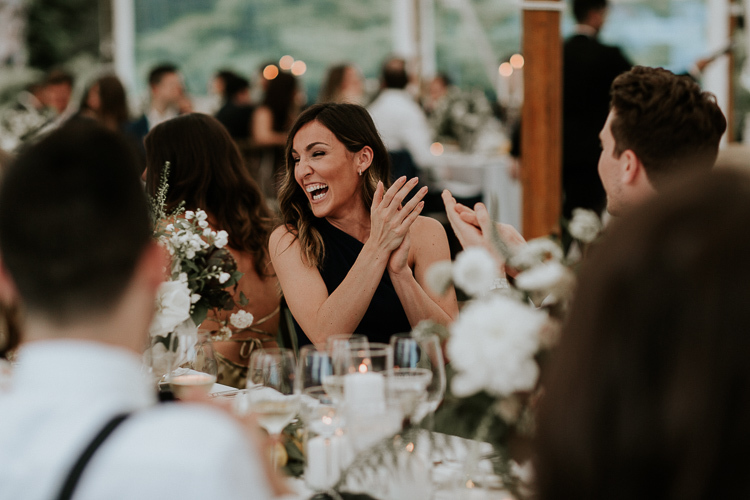 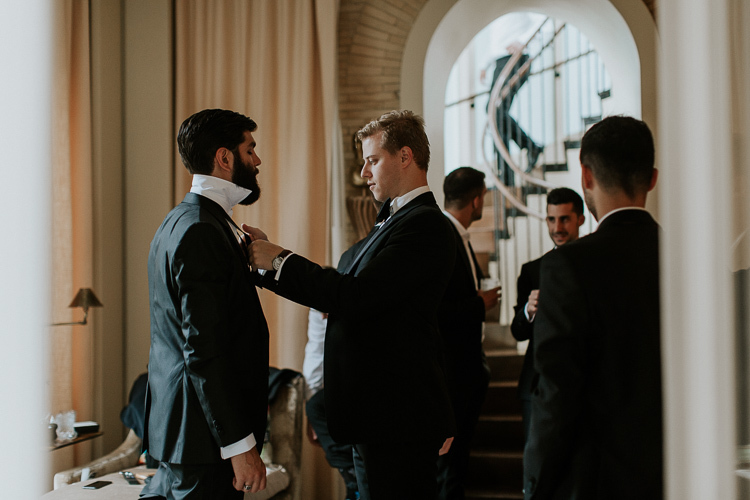 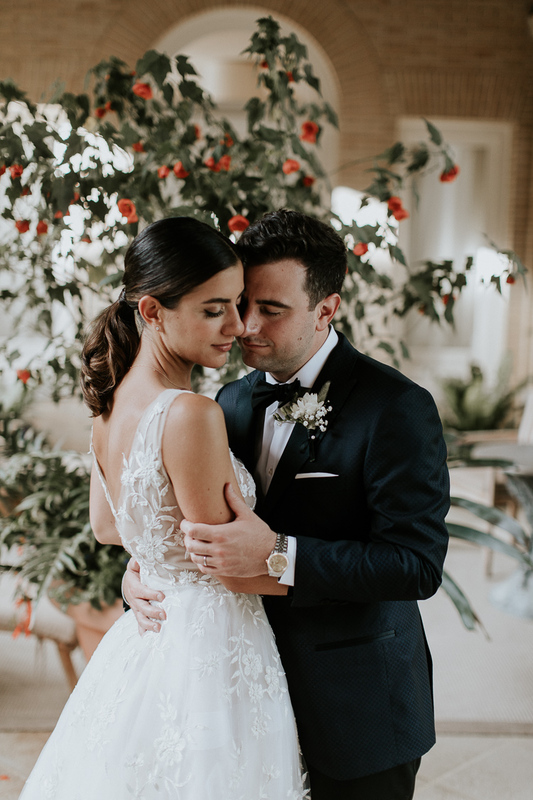 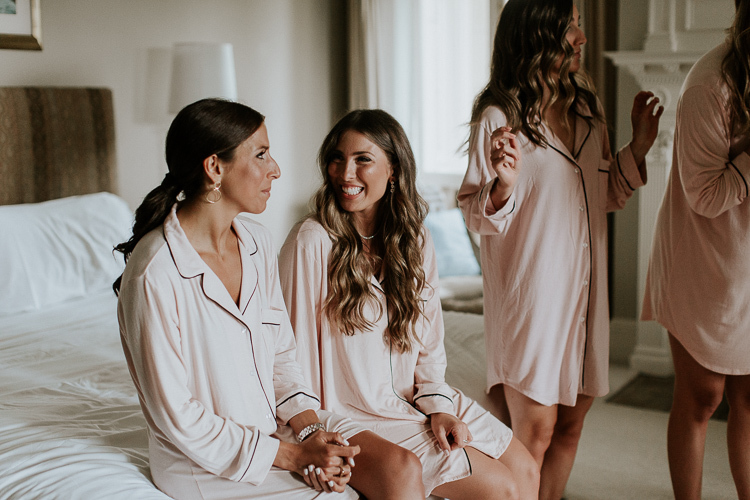 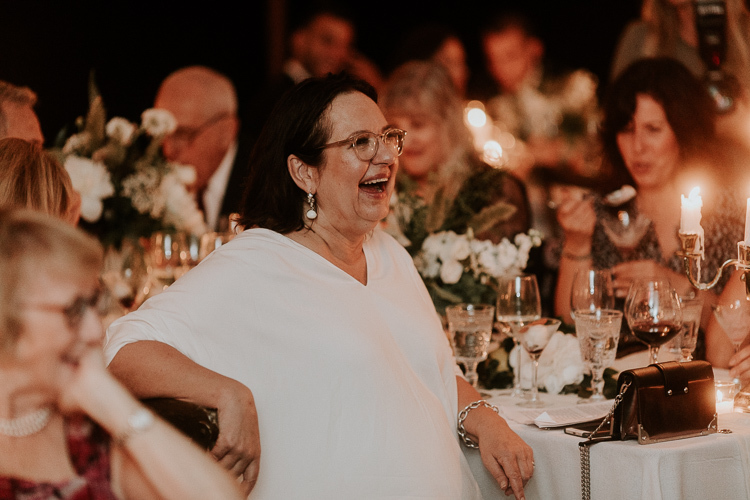 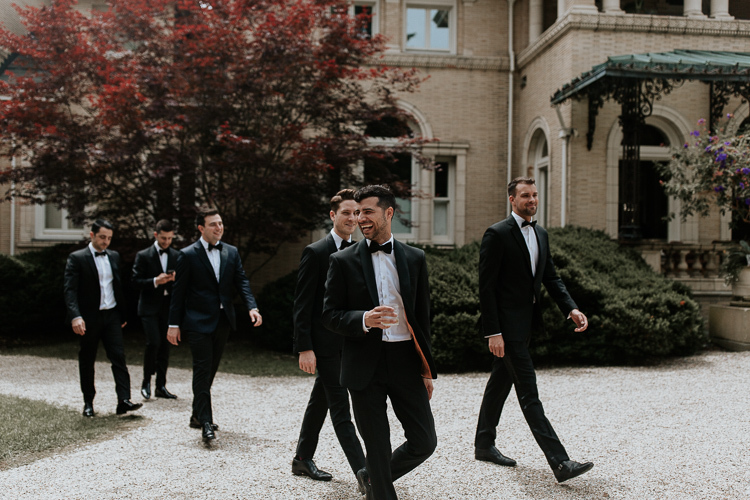 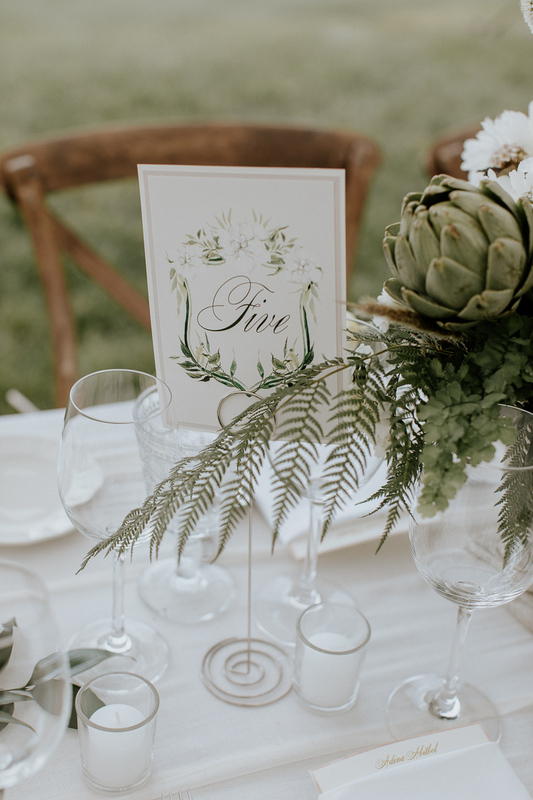 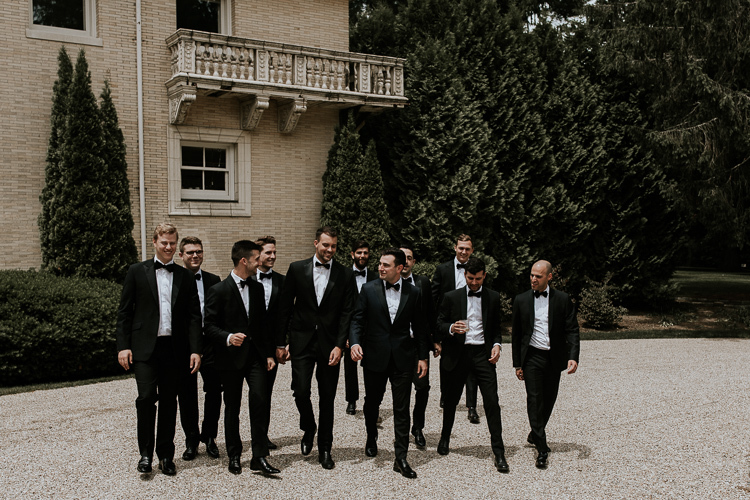 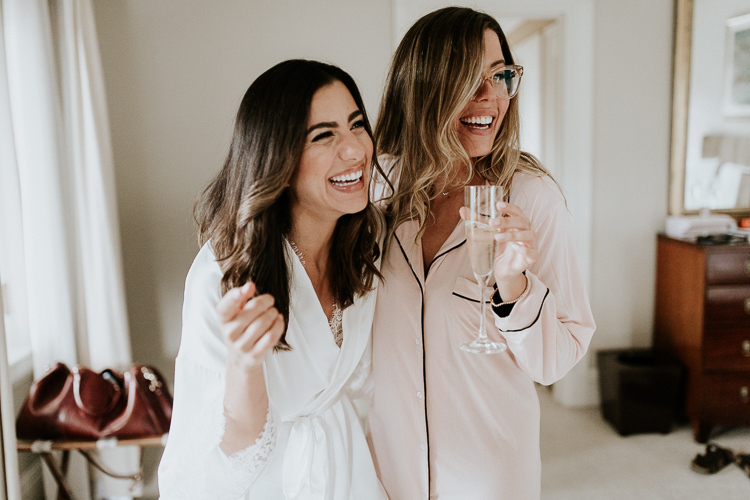 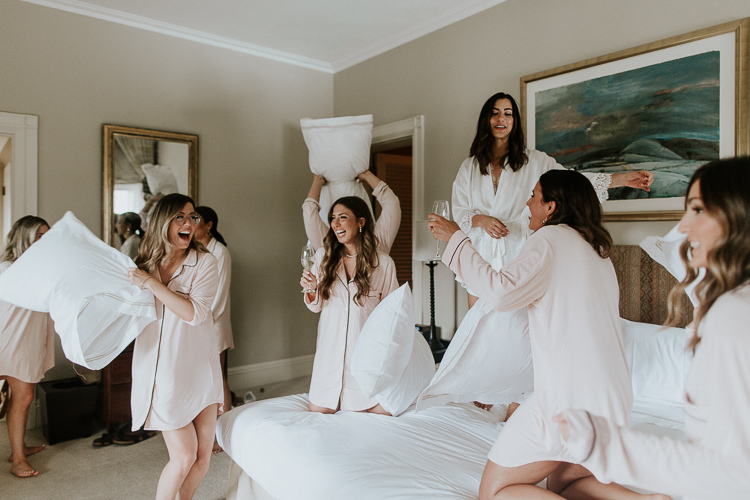 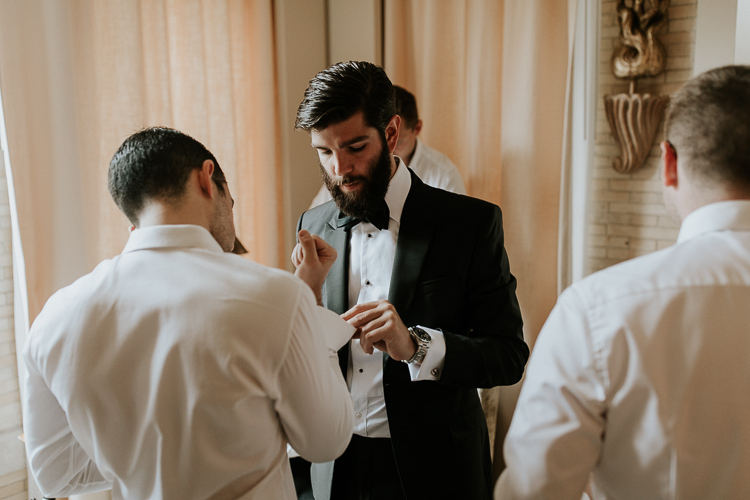 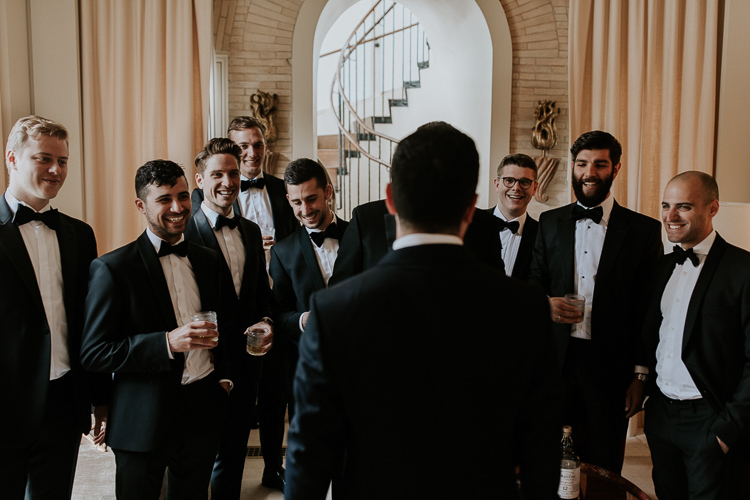 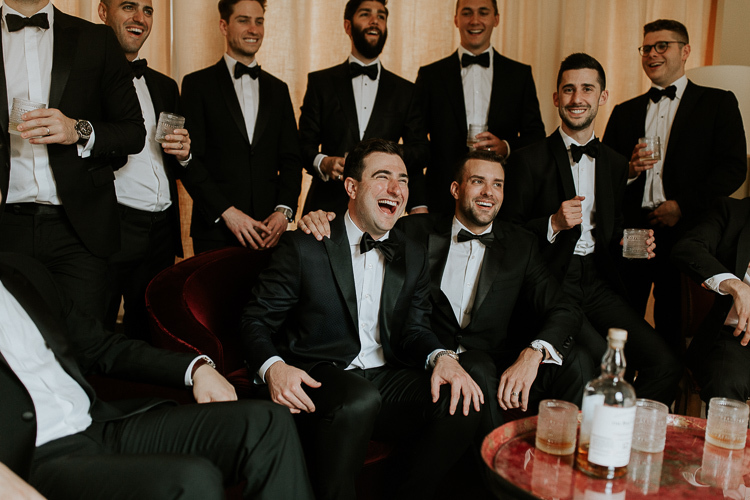 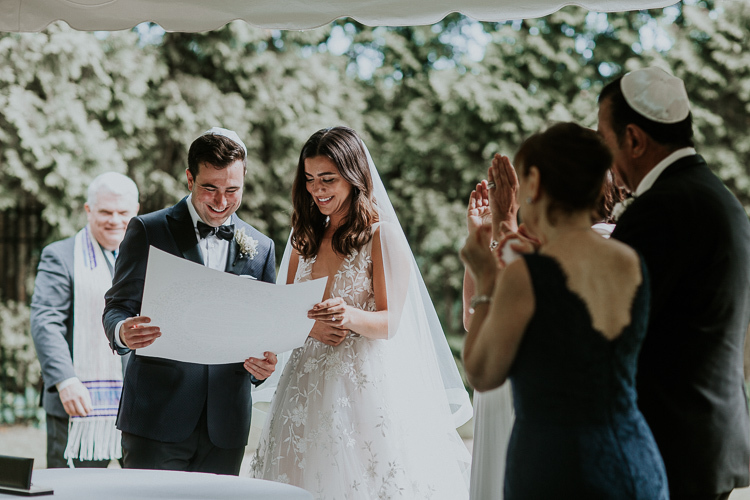 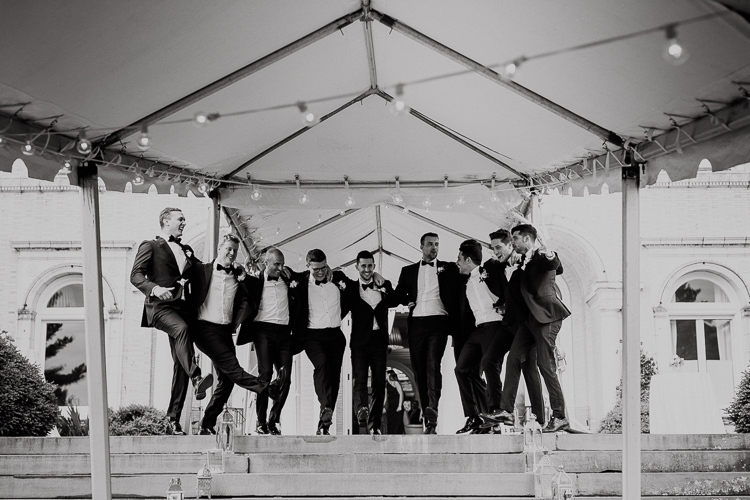 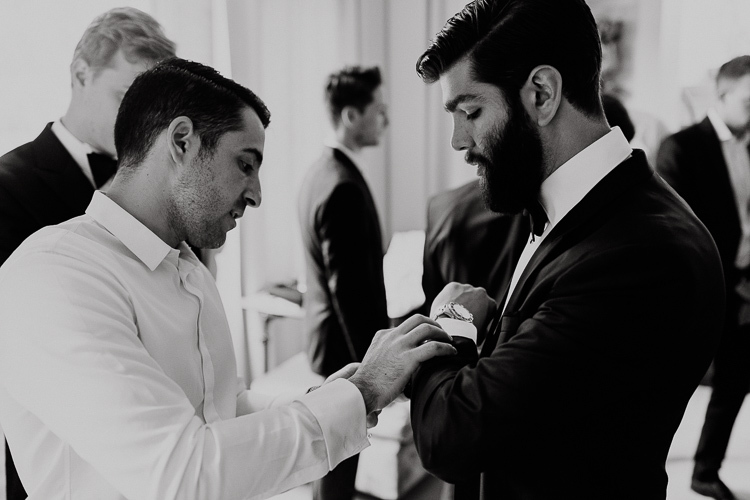 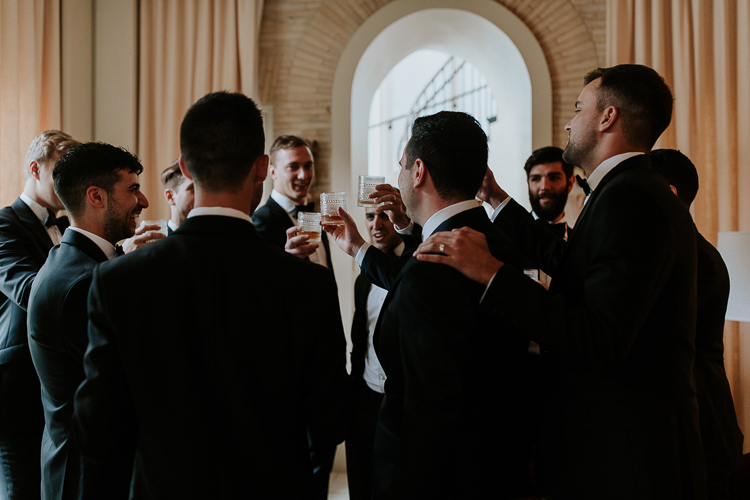 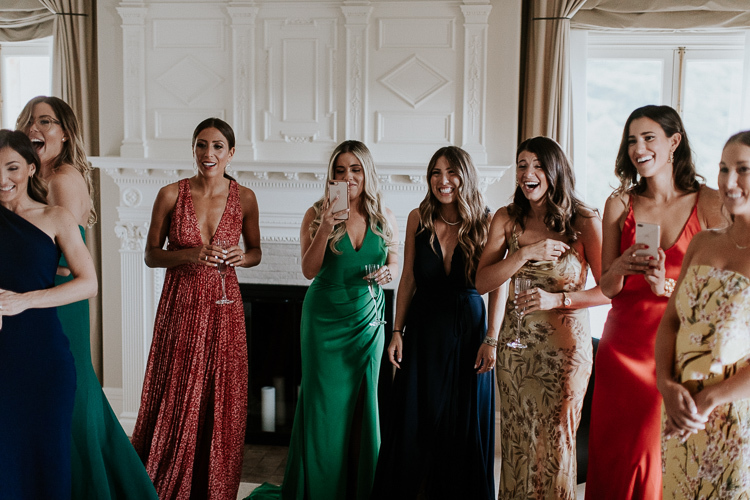 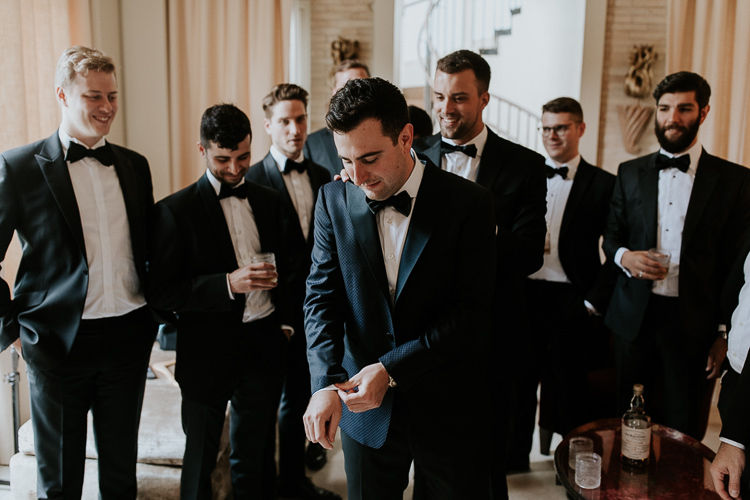 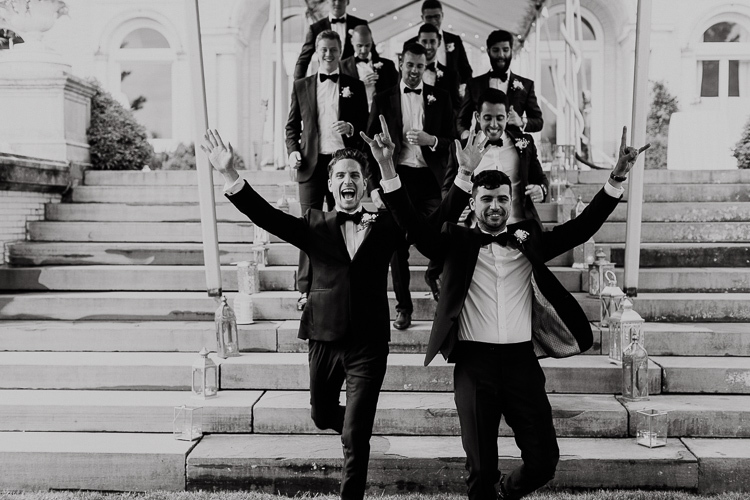 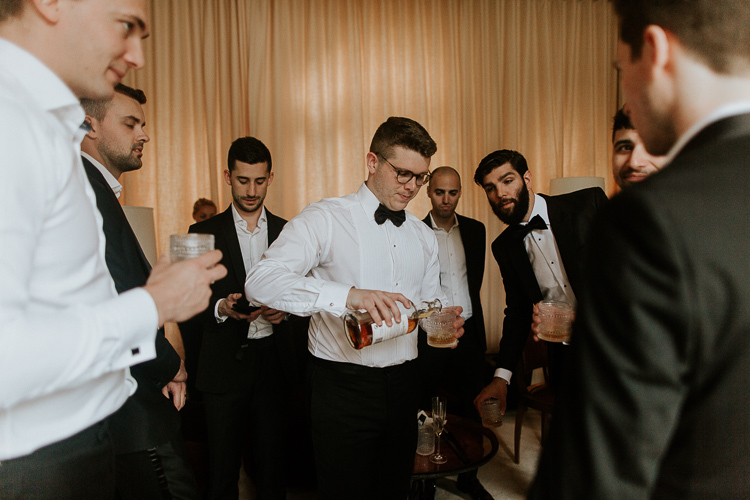 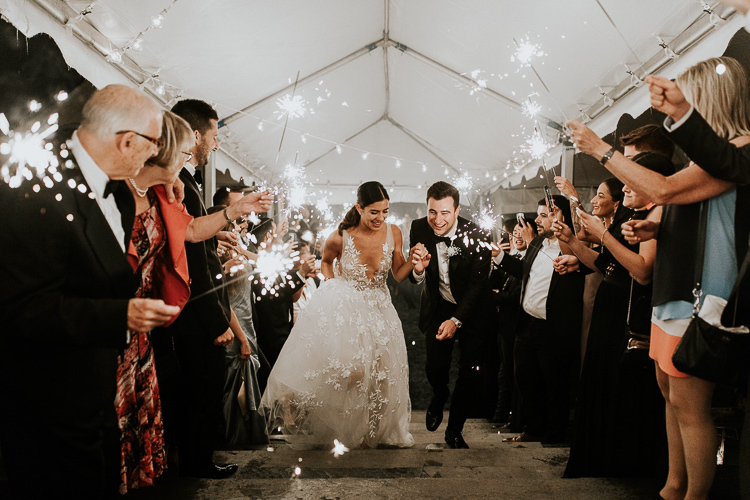 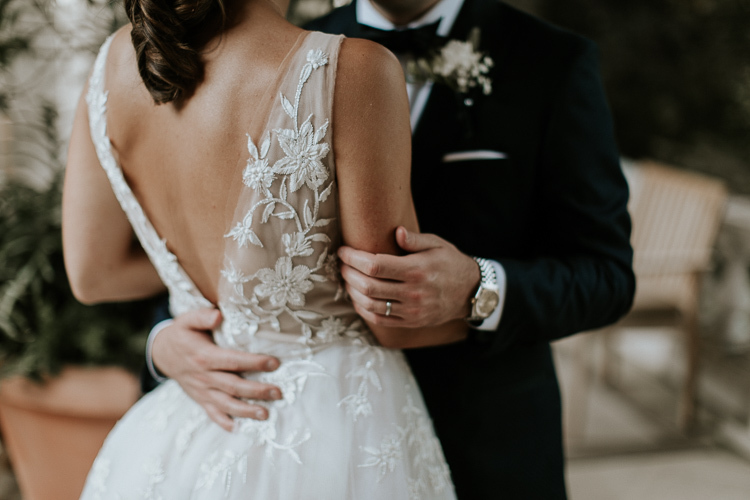 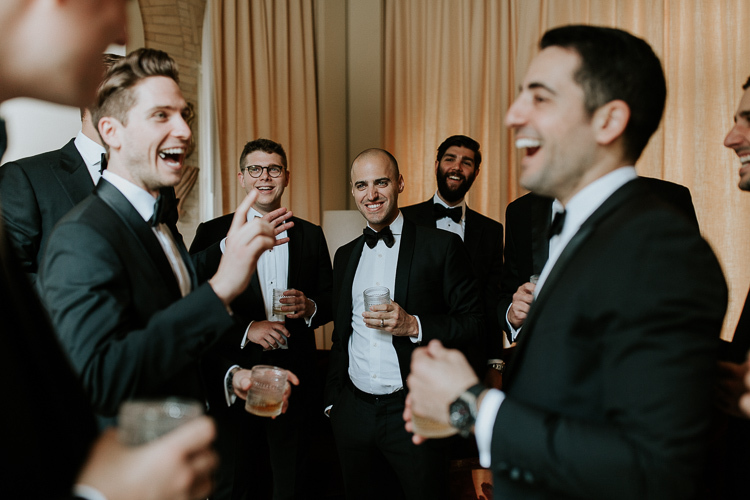 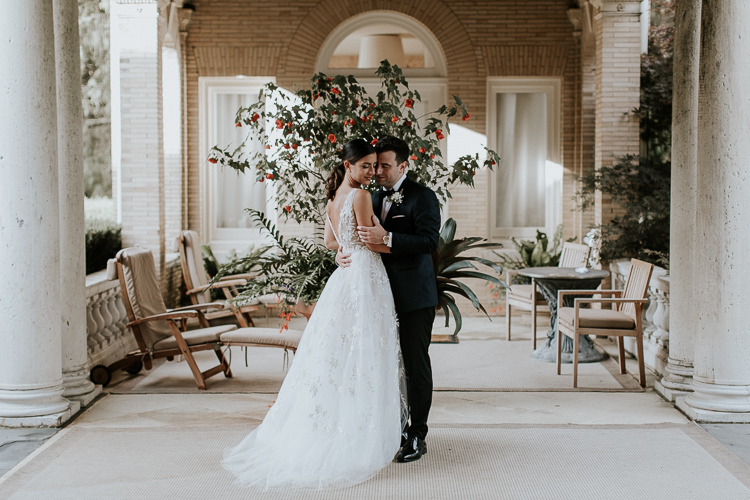 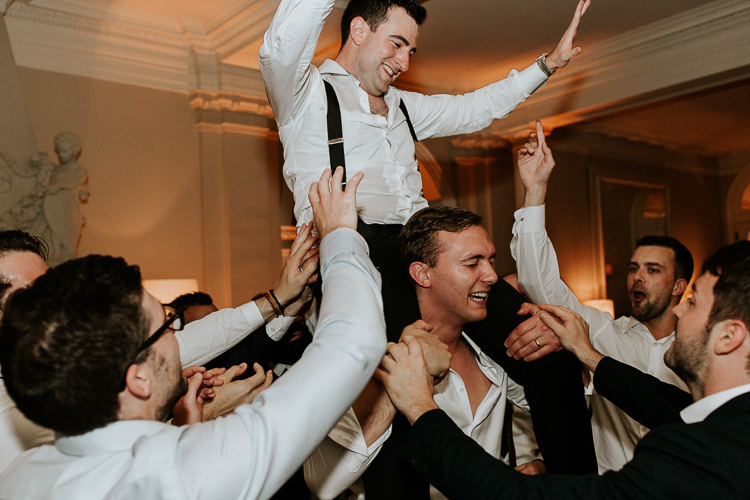 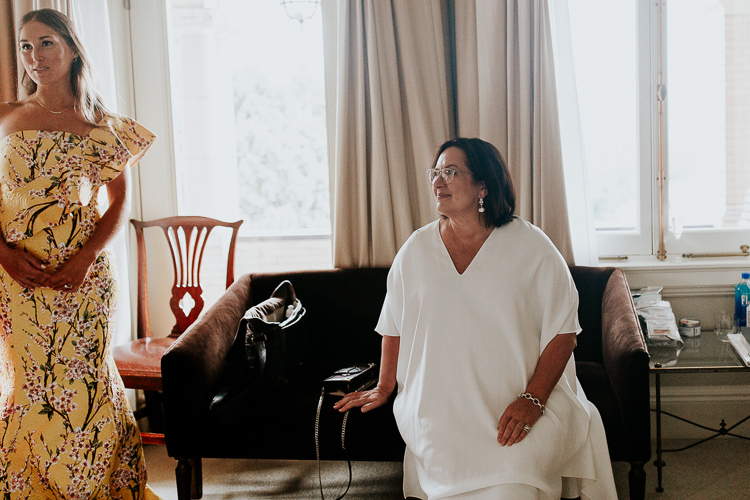 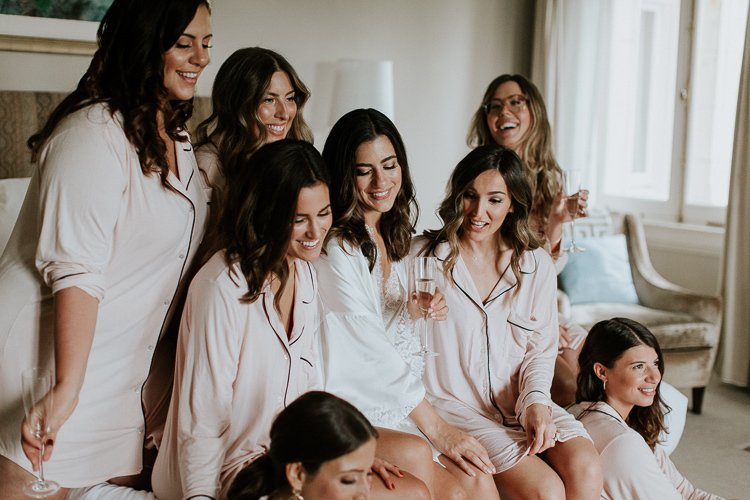 Everyone will tell you to stay in the moment and take it all in on your wedding day, but this also extends to the entire planning process itself. 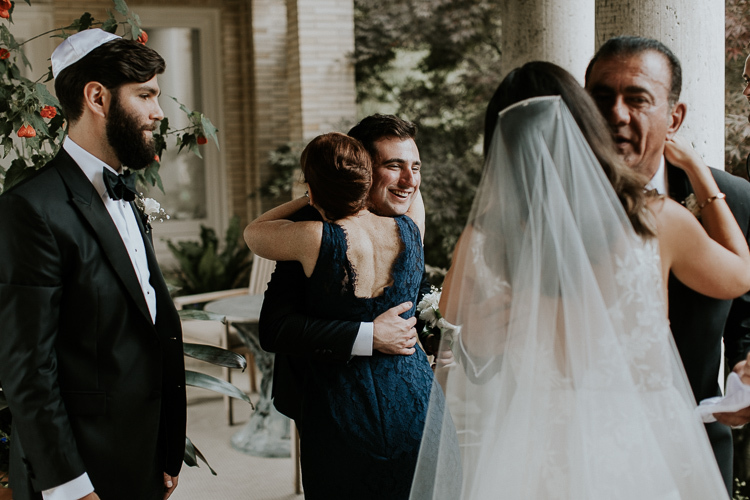 You will have so many more memories to cherish beyond just the wedding day. 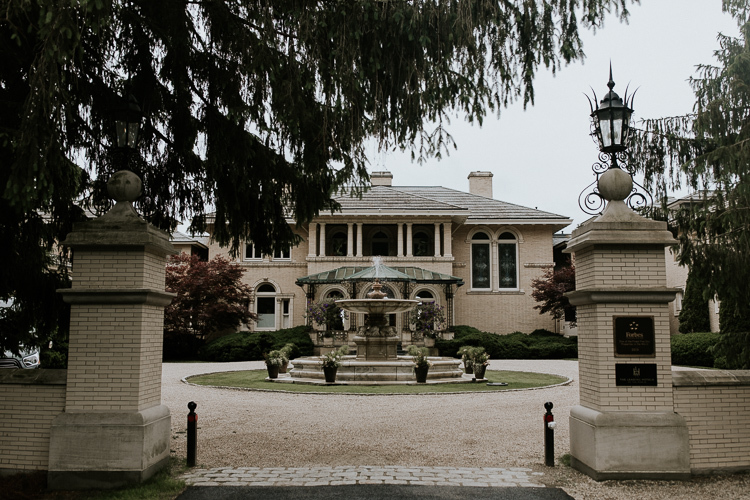 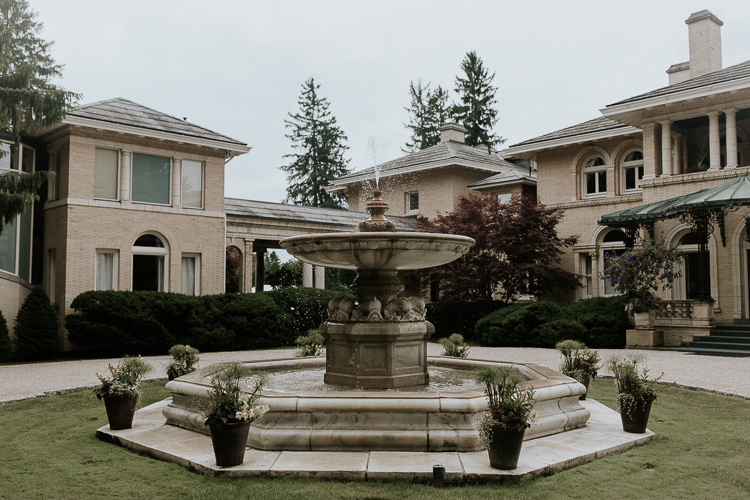 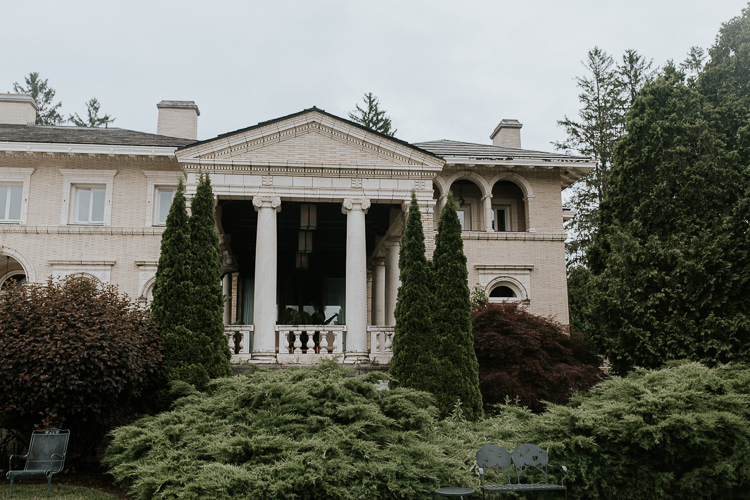 We had the best time driving up to our venue for visits, and discovering new places in Lenox every time. 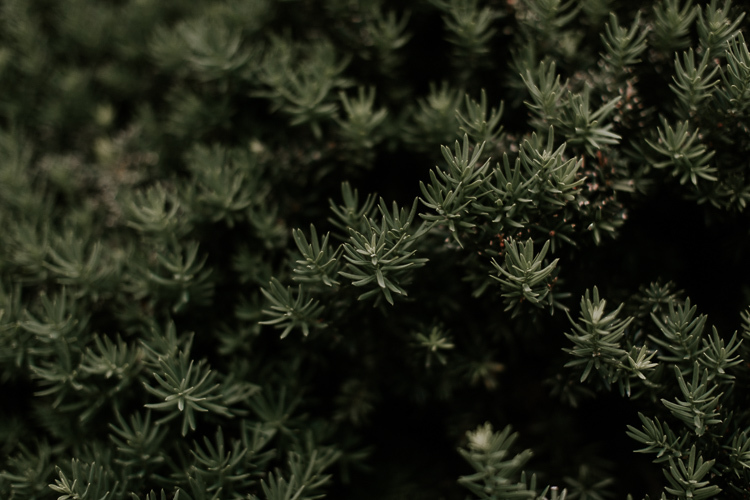 Also, don`t lose sleep over things you can`t control. 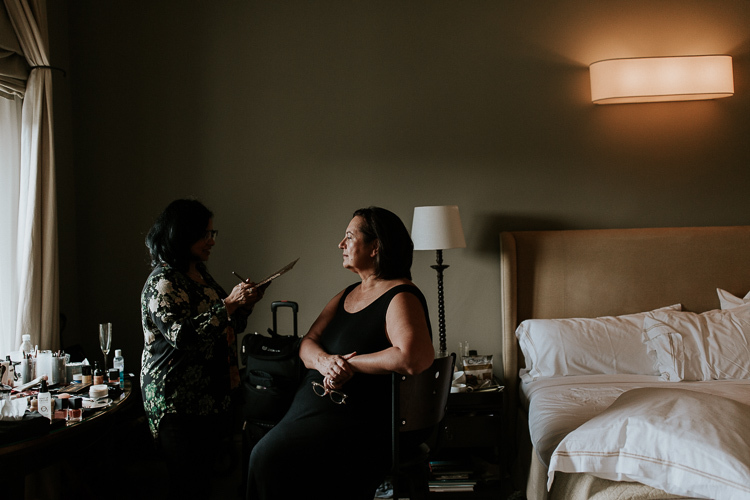 A week before our wedding, the weather forecasts were showing constant downpours & we immediately started our contingency plan with our planner, Magdalena. 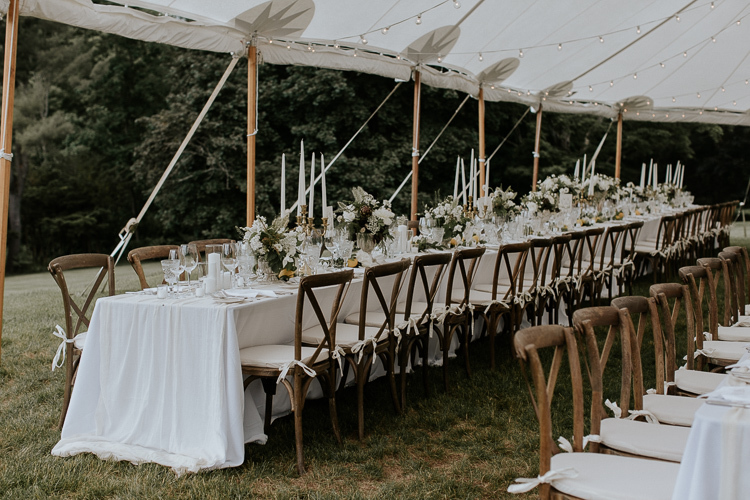 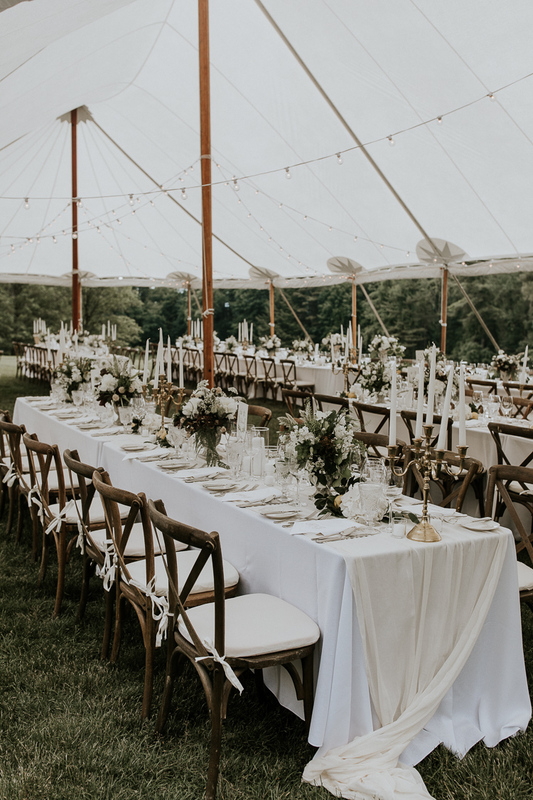 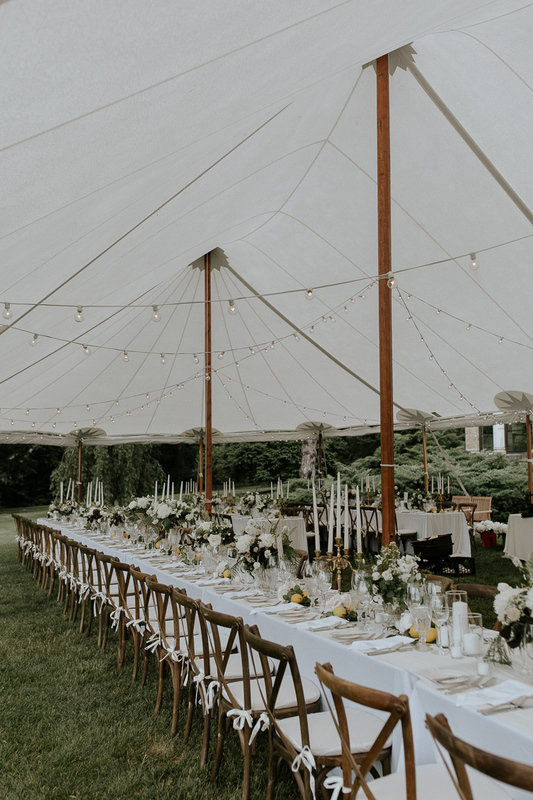 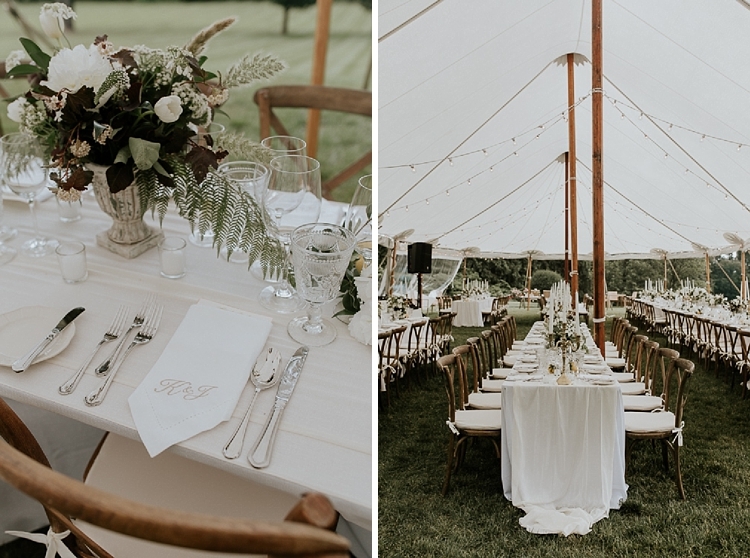 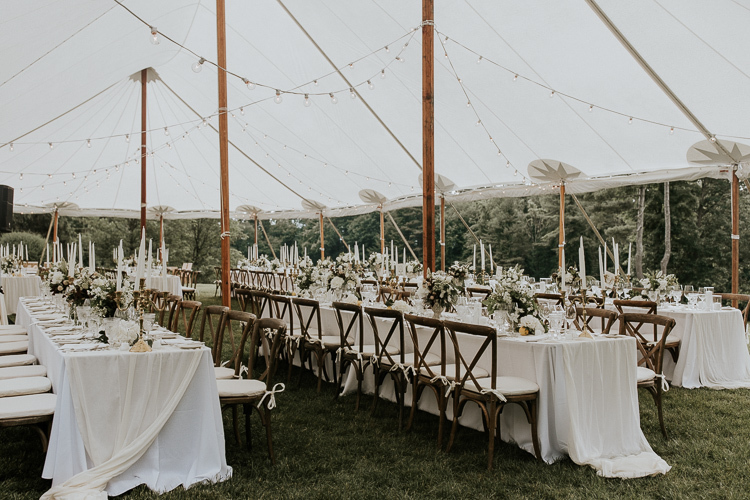 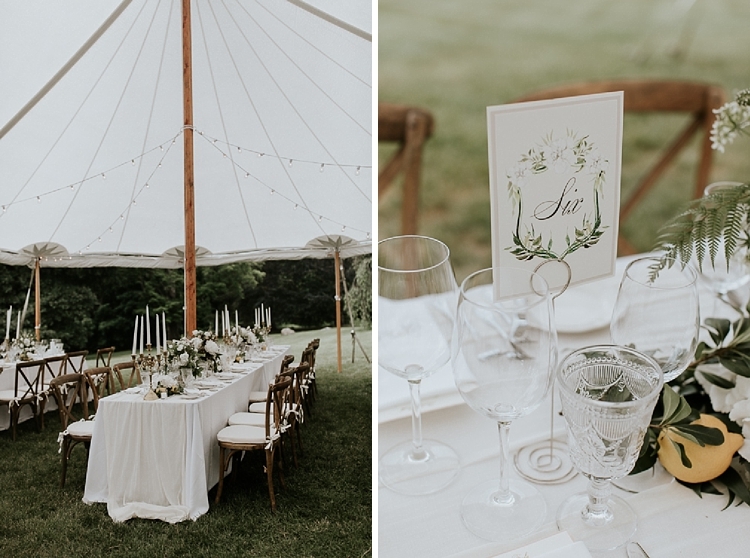 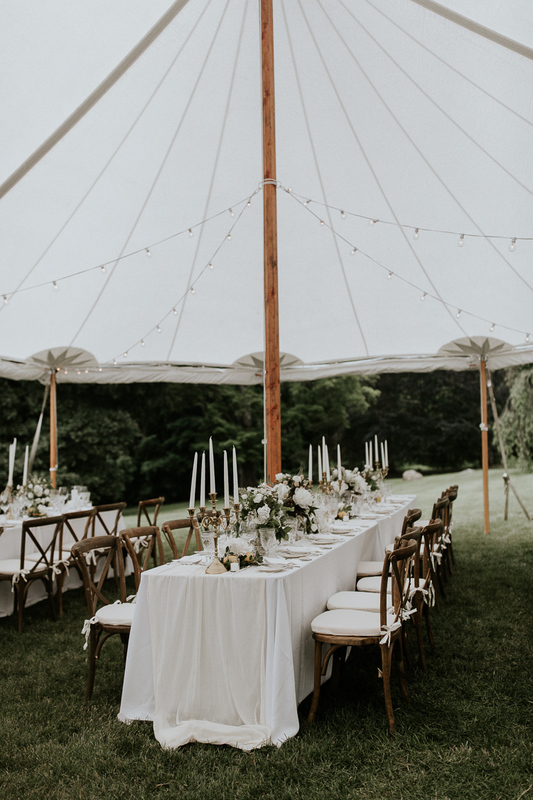 It started with an order of white umbrellas, some additional tents, and the use of spaces we had initially never thought of. 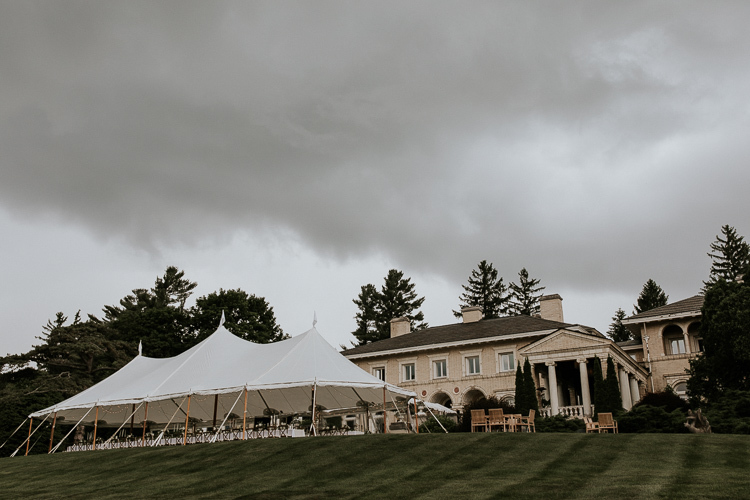 Although we had spent months envisioning the weekend in full sunshine, the occasional rain shower truly added so much character, and the weather cooperated at all the right times. 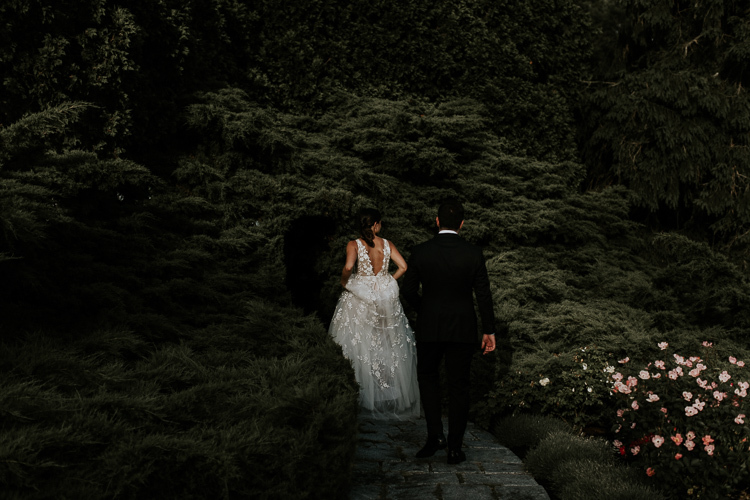 No one noticed the adjustments we had to make, and some changes even turned out for the better. 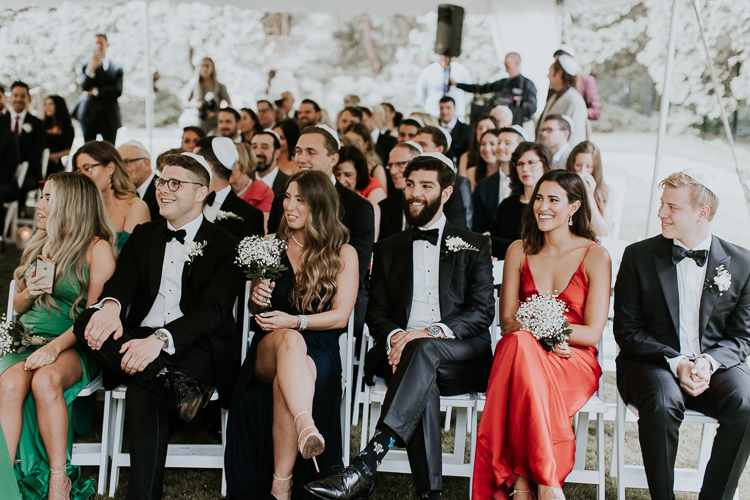 Some of our guests actually mentioned to us that the sun came out right as we were pronounced husband and wife.